I’m excited to announce that the Hidden History of Downtown St. Louis which I began a year ago for Arcadia Publishing has arrived locally at Barnes and Noble Book Stores, The Book House in Maplewood, Campbell House Museum downtown and is also available online at both barnesandnoble.com (http://www.barnesandnoble.com/w/hidden-history-of-downtown-st-louis-maureen-kavanaugh/1124493060?ean=9781467136839) and amazon.com (https://www.amazon.com/Hidden-History-Downtown-St-Louis/dp/1467136832/ref=sr_1_1?s=books&ie=UTF8&qid=1485382411&sr=1-1&keywords=hidden+history+of+downtown+st.+louis). This quality paperback is a compilation of the research which has gone into the walking tours and coach tours that I give of downtown St. Louis along with some 60 vintage images and contemporary photographs, mostly the work of my husband, Tom Kavanaugh. But the book contains far more detail than a walking tour allows for. 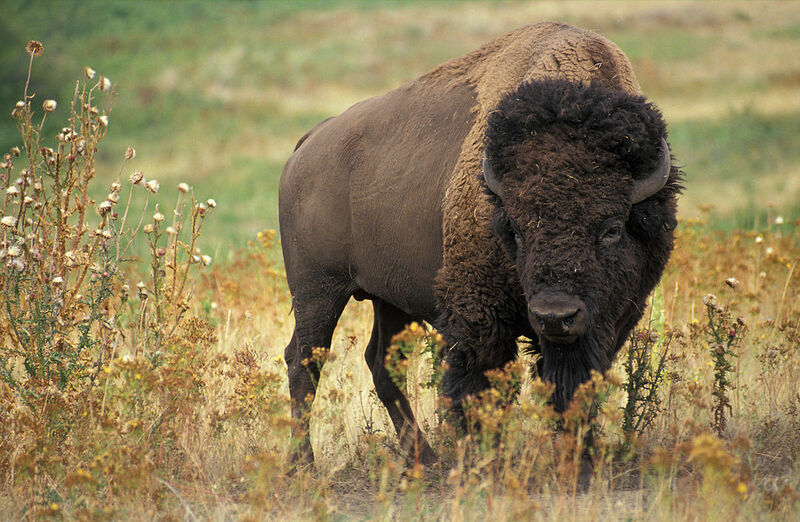 It begins with the Mississippian Mound Era (approximately the year 1000) and culminates in the present day. If you’ve been following my blog from an island in the Pacific, from Alaska, Europe or the British Isles it’s unlikely you’ll be taking a walking tour with me any time soon. 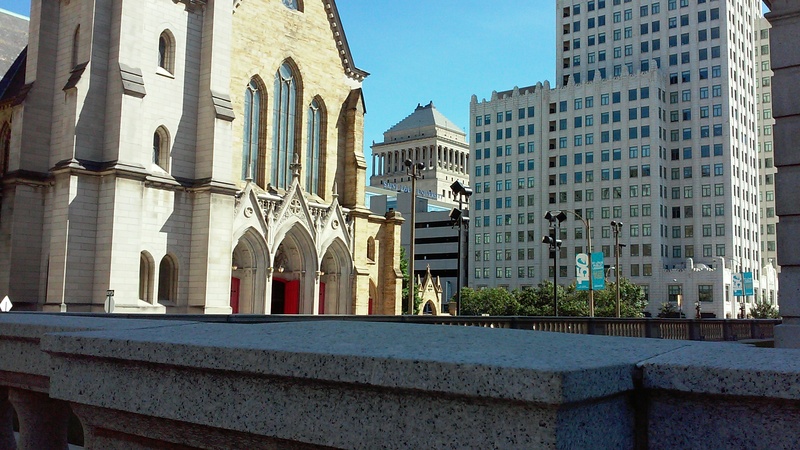 I love giving site-oriented walking tours and personally taking visitors back to the 18th and 19th centuries but this Hidden History of Downtown St. Louis will allow you to join me virtually from the comfort of your own home. I will be doing my first book signing this coming Saturday, January 28th at The Book House in Maplewood, Missouri from 2:00 – 4:00 in the afternoon. If you can join me there I’d love to sign a book for you! If you’ve already bought the book online or at Barnes and Noble locally feel free to bring it along Saturday and I’ll be happy to sign it. I won’t be telling ghost stories as I did the last time I appeared at The Book House. I don’t believe their new location is as charmingly haunted as the original Book House in Rock Hill was but I’m anxious to find out whether their little ghost moved along with their amazing inventory of books! I’m sorry to have been absent for so long a time. But life happens and other kinds of writing have demanded my attention. 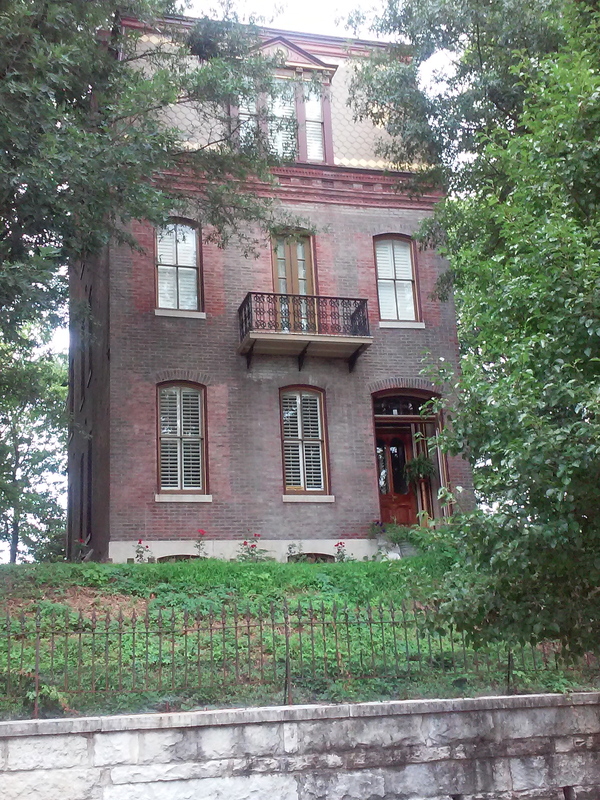 I will soon begin blogging again on a regular basis but I’m focused presently on a book for The History Press’s Hidden History Series on Downtown St. Louis (https://www.arcadiapublishing.com/Navigation/Series/THPSeries/HIDDEN-HISTORY). It will contain many of the stories that I tell on my walking tours but with a lot more detail than touring time usually allows for. There will also be new stories about St. Louis people and events that are little known or virtually unknown to the general public and I’m very excited to be telling them! In the meantime I’ve also been giving tours, most recently a Valentine Sweet Tooth Coach Tour for a wonderful group of Seniors from the Rockwood Bank in High Ridge, Missouri. 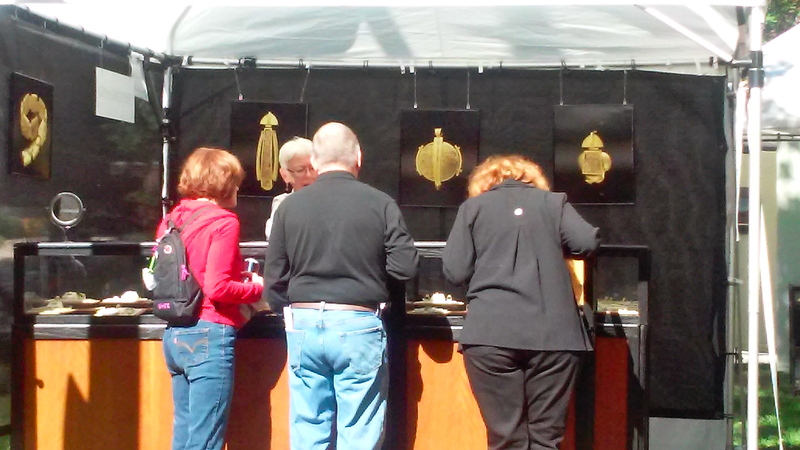 It began with Chocolate Covered Strawberries from Merbs Candies and the calories just kept adding up at La Patisserie Chouquette, Rigazzis and The Missouri Baking Company on The Hill, and finally Bissingers Chocolates. I’ve also been constructing new tours for spring and summer. So while absent from Word Press, I’ve been very busy. Thanks for not giving up on me! Illustration Credit: Pierre Chouteau, Jr. – in the public domain at wikimediacommons.org. Photos: Maureen Kavanaugh, author of this blog. I was born a walker. For me the most sensuous way to experience a place – whether it be Dublin or Paris or St. Louis – is to walk it; following scents, letting the colors of a place seep into me, pausing here and there to taste, or stopping dead in my tracks to follow the lines of a structure upward, past balconies and French doors, over mountainous gables, along rooftop gardens, wrought-iron widow walks, gargoyles or sphynxes. Some perspectives just cannot be gleaned unless you’re standing still. The people I guide on my walking tours, especially those from other parts of the U.S. and the world, are astonished by how much intrigue and beauty St. Louis holds. Many of these treasures are easily missed unless you’re on foot. But walking’s not for everyone, and not all of the time. 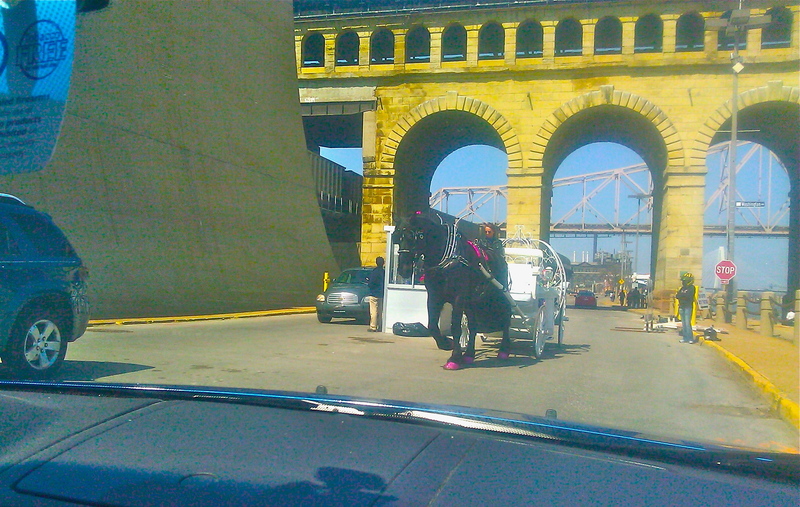 It’s possible to explore St. Louis via coach, Segway, carriage ride as well as running tours. There’s nothing quite like the wind in your face and hair as you glide through favorite neighborhoods or ride the topography of an uncharted territory for the first time on a bike. 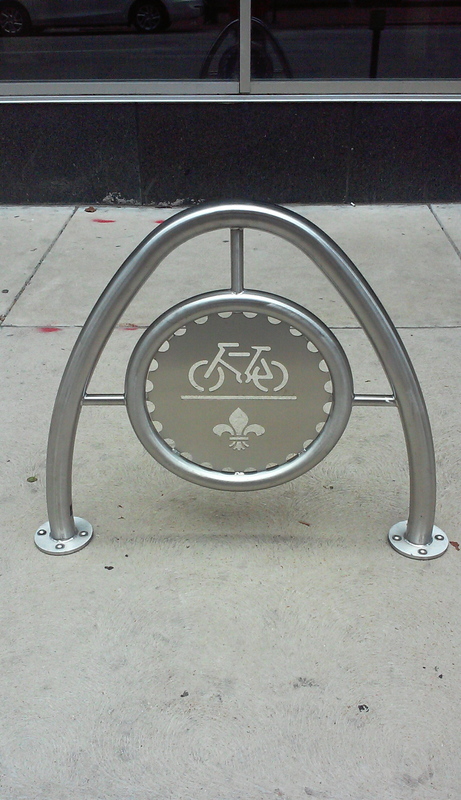 Now that bike racks have been situated in so many St. Louis neighborhoods you can enjoy the double pleasures of biking to and from a place, then hopping off and parking to explore it at your leisure on foot – an autumn farmer’s market in Tower Grove Park, the shops in old-new-town Kirkwood, or the specialty markets of The Hill, catching snippets of conversation in different languages and the various accents and energies that distinguish a neighborhood. 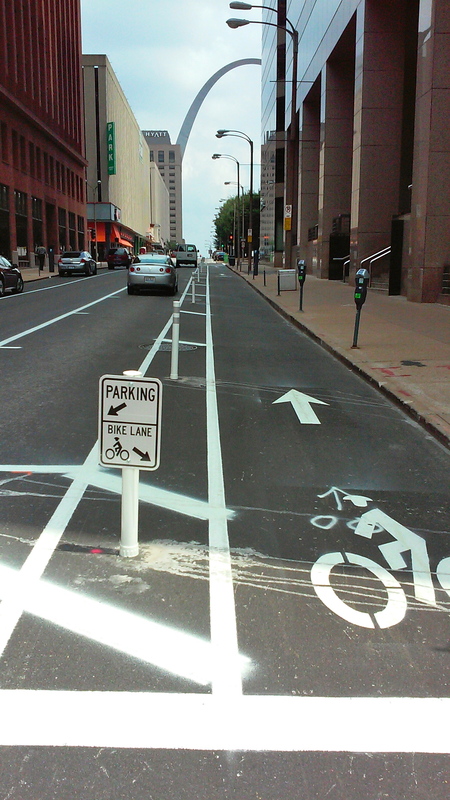 Cycling has re-emerged in recent years as a healthy and very popular way of navigating St. Louis and its environs, as it has in many other parts of the U.S. and the world. And with local, state and federal initiatives paving the way for clearly defined bike lanes, cycling is becoming safer than it has been since automobiles took to the roads in great numbers in the early 20th century. 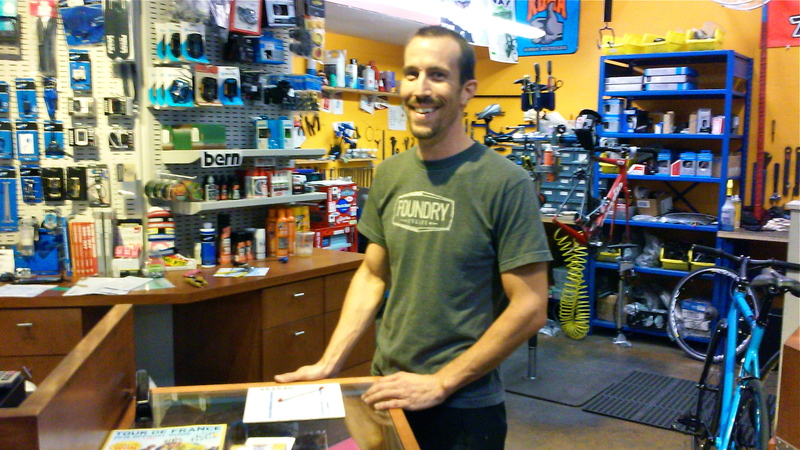 Avid cyclists like Jeremy Bradshaw who sells bikes and bike equipment at Urban Shark (http://bigshark.com/about/urban-shark-pg778.htm), a full-service bike shop at 1009 Locust Street in downtown St. Louis welcomes the bright, white bike lanes that the City of St. Louis has added to the downtown streetscape and hopes they will facilitate safe travel on congested roads, as they link to many, already-established bike lanes in other areas of St. Louis City and County. Urban Shark stands adjacent to St. Louis’ Downtown Bicycle Station, an initiative of Trail Net (trailnet.org/) that provides 20-hour access, over 120 bike racks, showers and a locker room to cyclists commuting to and from work on their own steam. Archaeological evidence suggests that the first humans to enter North America by Berengia from Asia did so on foot, in successive migrations between about 30,000 and 11,000 years ago. It also reveals that humans have walked all over the globe. As more and more lower levels of culture are unearthed, the extents to which hunter-gatherers and their descendants followed the herds they hunted are expanding. 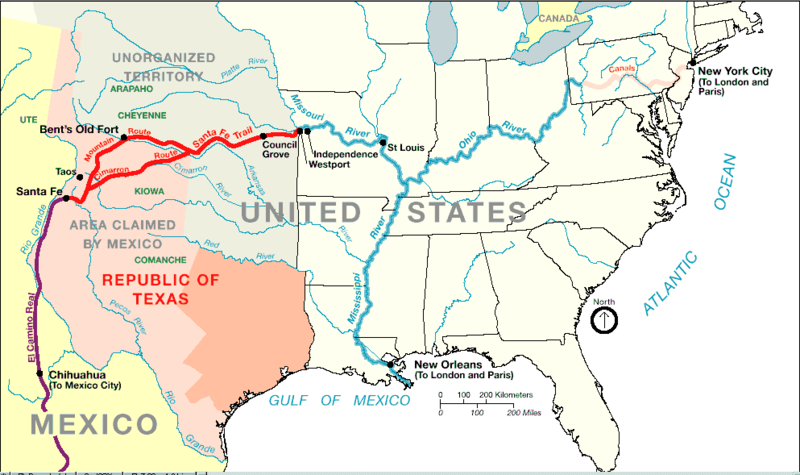 Long before the Osages, by about the year 900, Mississippian Mound Builders were traversing the Mississippi, the master river of North America, and its tributaries in canoes. They built a capital in what is today the Greater St. Louis area – roughly between Cahokia, Illinois and St. Louis, Missouri, an area rich with fertile soil on the river’s east bank and honeycombed with caves on its west, and were trading with other tribal Americans as far north as the Great Lakes, as far south as the Gulf of Mexico, as far east as the Appalachian Mountains and as far west as the Rocky Mountains. Early humans around the world crossed bodies of water in simple crafts long before history records. 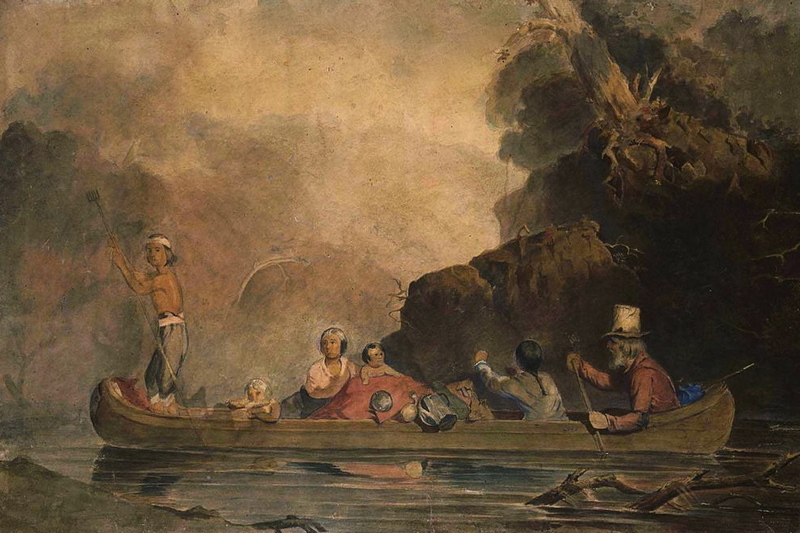 What we know as canoes today (and pirogues in parts of the Mississippi River Valley in the 18th century and lower Louisiana today) are so ancient and universal a form of transportation their origins are as yet and may never be, definable. Everything in the St. Louis we know today began with the river, the great Mississippi, which the Aninshinaabe (Ojibwe/Algonquin) people called Misi-ziibi and the French rendered as Mesipi. 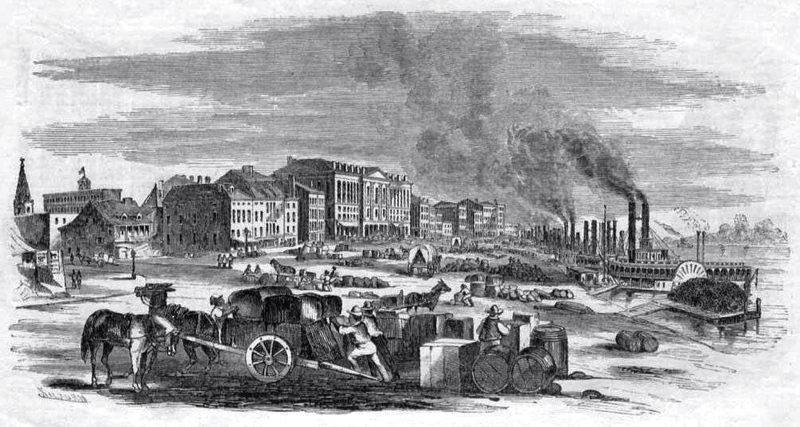 Soon after Pierre Laclede established Post de Saint Louis as an Indian center of commerce in the mid-Mississippi River Valley, tribal delegates from as far west as the Great Plains and the Rocky Mountain came here to trade. Beginning as a tiny, international port linking New Orleans in the south with Montreal in the north, and European markets with Native American trade, the Mississippi allowed Port St. Louis to grow exponentially. Flatboats and keel boats became preferred forms of transportation for the trappers and traders plying the Mississippi and Missouri rivers with large quantities of goods – European imports and American furs and hides. 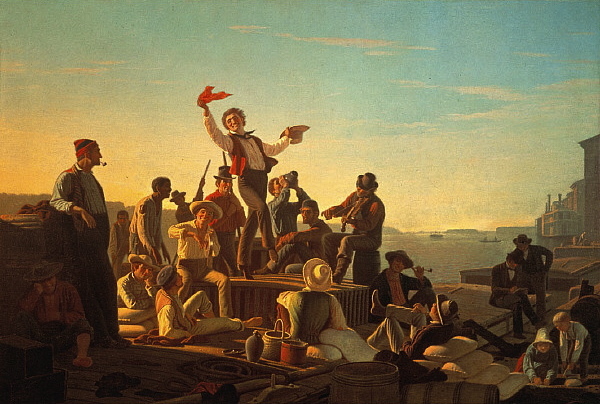 After Lewis and Clark returned to St. Louis with a mapped route to the Pacific Ocean in 1806 and the United States government began offering free land out the Oregon Trail, settlers arrived in the thousands, overland in covered wagons and on the rivers by boats, to get permission for that land, making St. Louis the Gateway to the West. The Oregon Trail in St. Louis began at Broadway and Market Street (the first road in St. Louis). 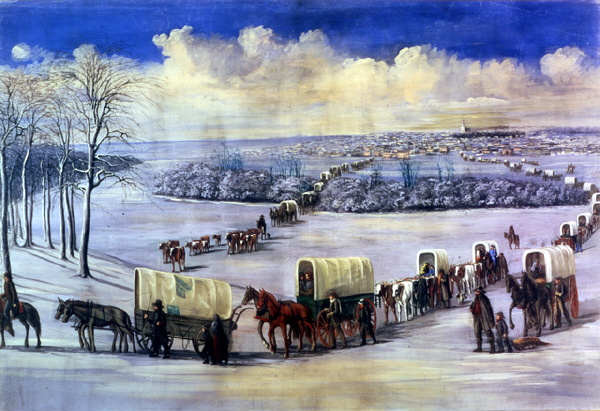 When the Mississippi froze in winter, covered wagons could cross it without being ferried, to make their way west from St. Louis. 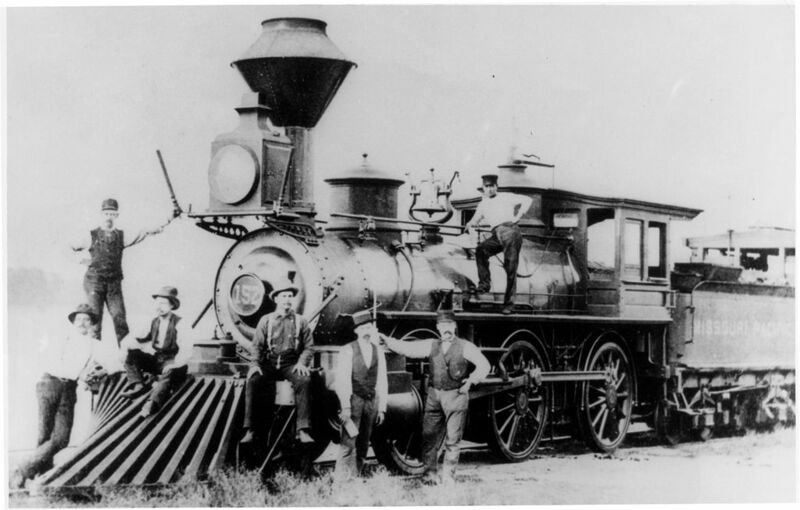 Ground was broken in St. Louis in 1851 for the Pacific Railroad/later the Missouri Pacific slated to run from St. Louis via the state capital of Jefferson City to the western boundary of Missouri, and onward to the Pacific Ocean. 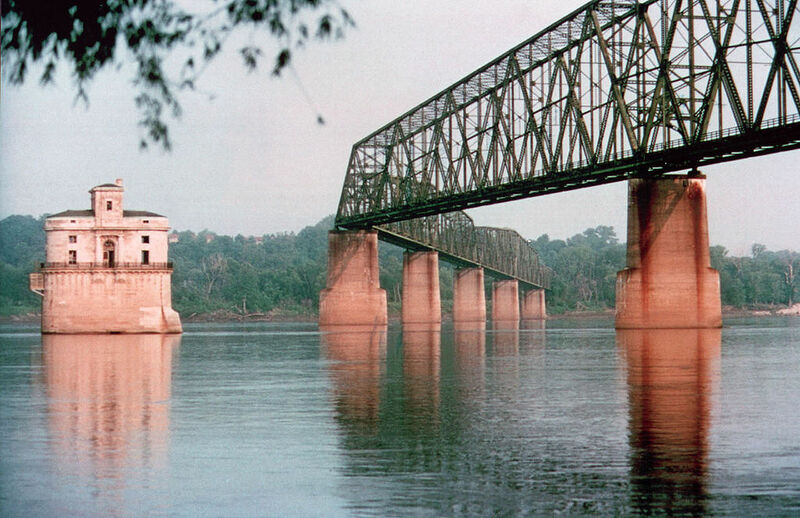 Prior to James Eads engineering the first primarily steel bridge in the world connecting Missouri with Illinois in downtown St. Louis, train cars had to be ferried across the Mississippi. 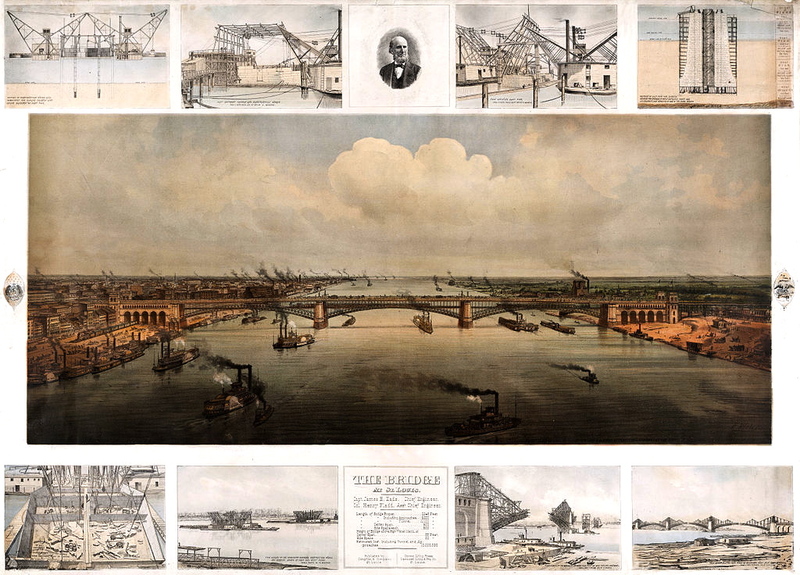 Chartered in 1851, the St. Louis-Iron Mountain Railroad carried granite from southern Missouri north, for the cobblestones on the St. Louis levee and granite for the piers Eads sunk to bedrock for his ground-breaking bridge at St. Louis. It would also transport hundreds of Confederate POWs from Pilot Knob, MO to prison in St. Louis during the Civil War. 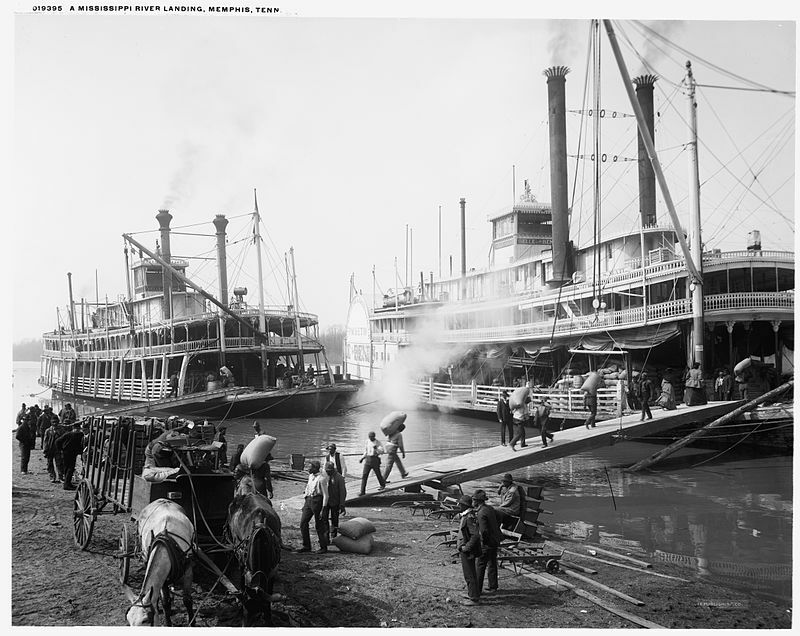 While St. Louis reigned as the great metropolis of the mid-Mississippi River Valley steamboats of varying sizes and designs reigned the river’s mighty waters transporting thousands of passengers, millions of tons of cargo and sometimes horrific diseases like cholera. These barges carry regional, natural resources such as grain and coal to gulf ports where they’re loaded for shipping to destinations as distant as Africa and Asia. We remain an international port. 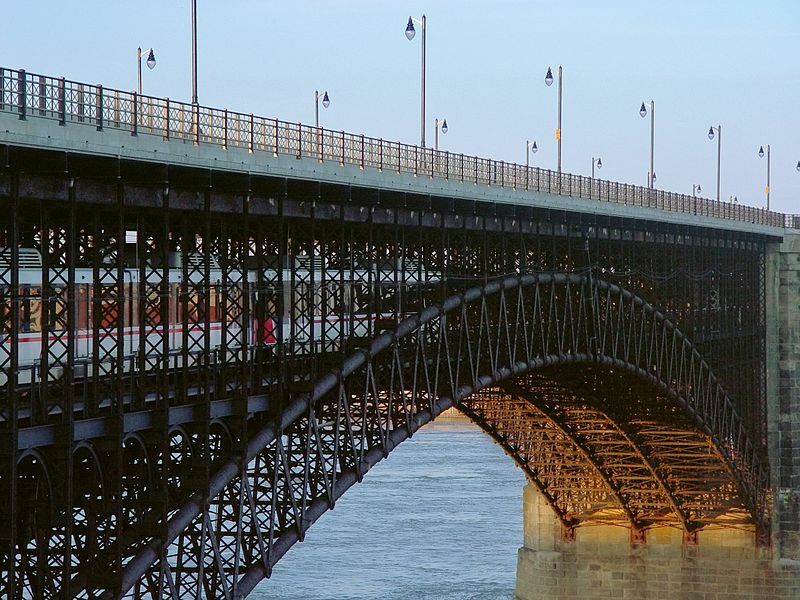 James Eads designed the St. Louis Bridge in 1874 to carry not only horses, carriages, wagon loads and pedestrian foot traffic but full-scale trains, allowing them to cross the Mississippi River from Illinois to Missouri (and back) at full throttle. He linked its west platform to the opening of a natural limestone cave, a tunnel of which he engineered for underground travel until the train emerged into what became one of the largest switching yards in the U.S. (previously Chouteau’s Pond). 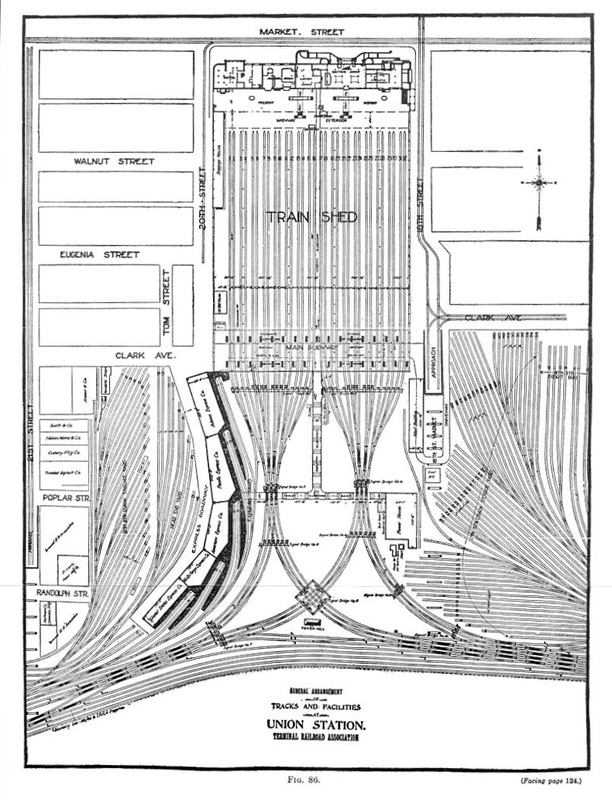 The vast majority of trains entering and leaving St. Louis no longer pull into the rail yard behind Union Station (now a hotel complex) by-passing it for the Amtrak Station four blocks east. At the Civic Center Station travelers can conveniently switch from Amtrak to MetroLink Light Rail Service – or buses – to continue their journey on to wherever they’ll be staying. MetroLink Transit has five stops in downtown St. Louis (two of which, 8th & Pine and Convention Center, are located in the cave) and links to university campuses, hospitals, shopping centers, and Lambert International Airport. MetroLink Transit also serves Illinois passengers in the East St. Louis area. Since bicycles are allowed on trains, riders can use light rail to cover large distances on the way to areas they want to bike and back. Interstate highways like the Daniel Boone and Mark Twain expressways have replaced the trails forged by Native American tribes but our rivers remain natural highways for commerce as well as pleasure. 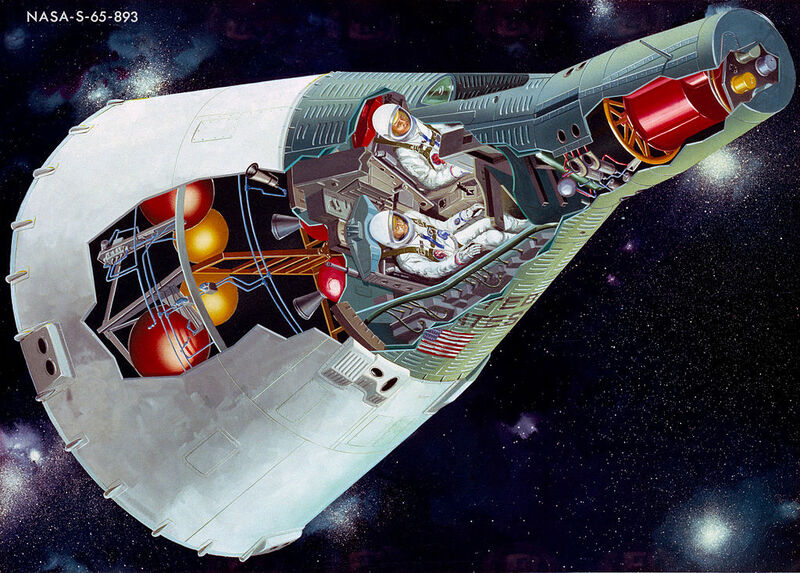 Navigating what became St. Louis hasn’t changed entirely over the last several thousand years except perhaps in the area of flight with McDonnell-Douglas, later Boeing, pioneering aircraft and spacecraft in ways ancient Americans never dreamed. 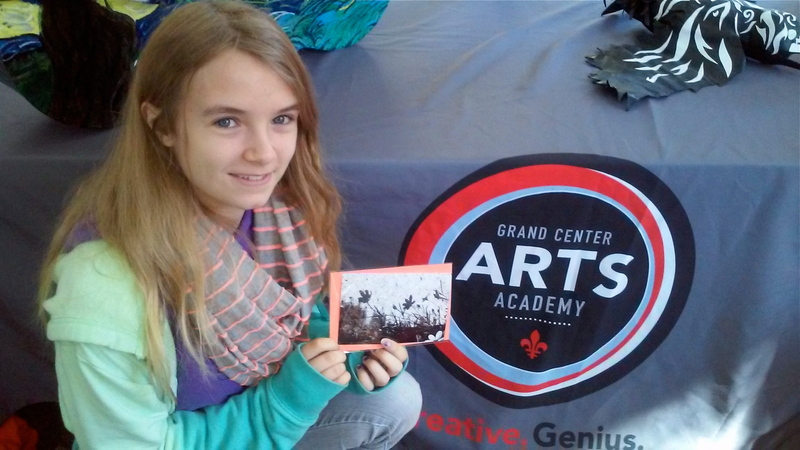 The past quarter-century has seen a renewed appreciation for the natural environment which has so shaped and nourished the culture of the St. Louis area. Strides are being made in the creation of riverfront trails for biking,walking and running, and for the preservation of marshes, creeks, and wildlife areas but the struggle to maintain the critical balance between nature and the human imprint upon it is ongoing. We have a lot of catching up to do. 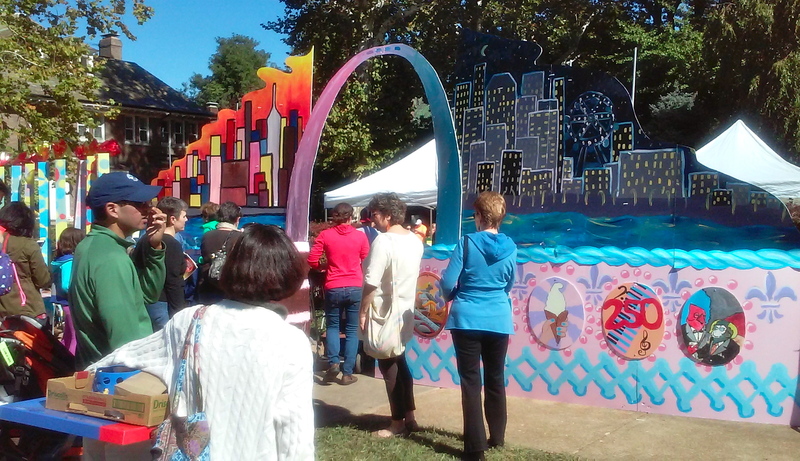 This coming weekend, on Sunday, September 2oth Trailnet of St. Louis (founded in 1988 to promote the St. Louis Riverfront Trail) is hosting a Share the Street Party (http://trailnet.org/calendar/trailnets-2015-share-the-street-party/) from 11:00am – 7pm, in Old Post Office Plaza downtown with food and craft beers, artist demonstrations representing St. Louis’ many diverse neighborhoods, and live entertainment by the St. Louis Blues Society. If you come you’ll have an opportunity to discover great area cycling opportunities and initiatives in and around St. Louis on a crisp, autumnal day! Special thanks to Jeremy Bradshaw of Urban Shark and Carol Schmidt & Marcia Quint of Trailnet for taking the time for an interview! References: *”Early Man in North America: The Known to the Unknown” by Valerie Ann Polino – http://www.yale.edu; **Under Three Flags by Maureen Hoessle, Virginia Publisjing, 2005; ***Life on the Mississippi by Mark Twain, James R. Osgood & Co. Boston, MA. 1883 and Chatto & Windus, London, England, 1883. 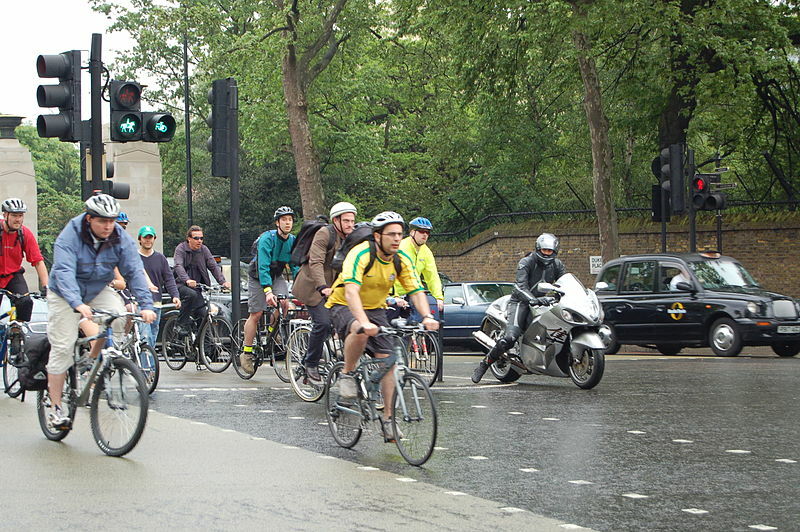 Photo Credits: SaintLouisMetroLinkEadsBridge.jpg – author William Rosmos, his own work, copyrighted & shared CC BY-SA 3.0 at wikimedia commons.org; Cyclists at Hyde Park corner roundabout in London.jpg – author Gerry Lynch, his own work, copyrighted & shared CC BY-SA 3.0 at wikimediacommons.org; American Bison, Missouri Pacific Number 152, Riverboats at Memphis, Chain of Rocks Bridge St. Louis, and Gemini Spacecraft – all in the public domain at wikimediacommons.org; Townhouse at 13th & Lami Streets in Soulard & Lenore K. Sullivan Blvd. at the Foot of Washington Avenue (above) – Tom Kavanaugh, Sr. All other photos by Maureen Kavanaugh, author of this blog. 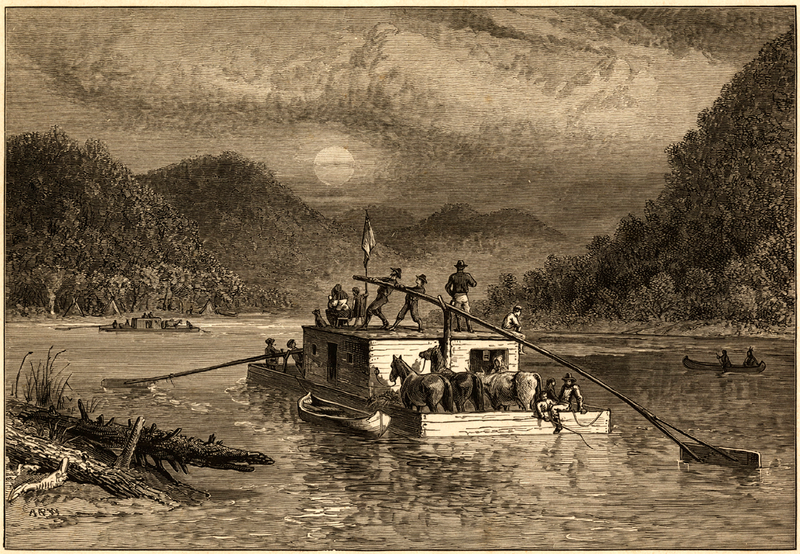 Illustration Credits: All maps & illustrations are in the public domain at wikimediacommons.org including The Trapper and His Family by Charles Deas, The Jolly Flat Boatmen by Thomas Hart Benton, Crossing the Mississippi on the Ice by Carl Christensen, and the Traveling by Flatboat engraving by Alfred R. Waud. 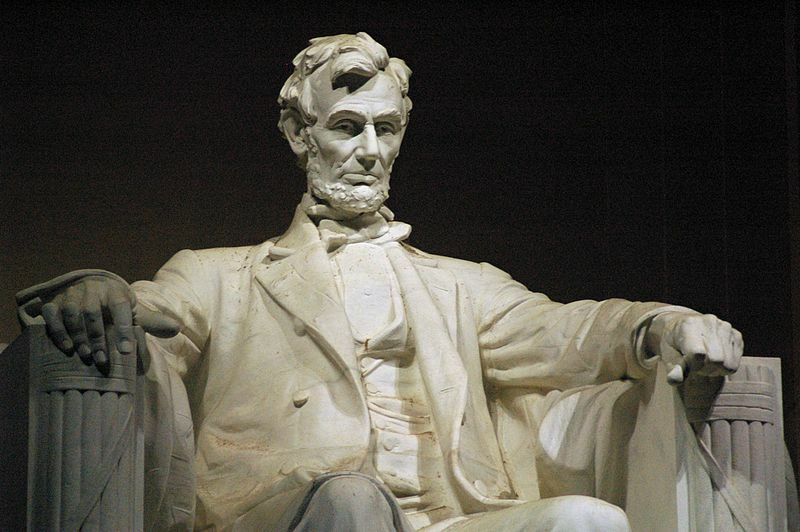 If Abraham Lincoln does indeed walk at midnight, the byways of Springfield, Illinois as the poet Vachel Lindsay suggested in 1914, he surely walks the streets of the nation’s capitol where he knew such troubled dreams. For Lincoln, one of the most brilliant politicians in American history, knew well the fatal consequences of political disputes in this republic. 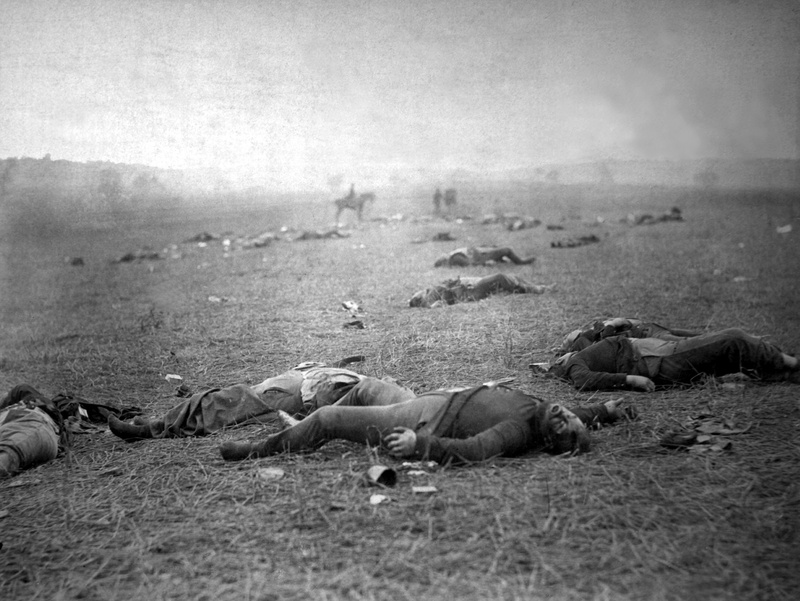 He grew to manhood in an era when such arguments routinely ended in gunfights at dawn (or later) and walked battlefields (Bull Run, Sharpsburg, Fredericksburg, Petersburg and Antietam) where the blood-drenched crops of war left almost no room for a man to set his feet on solid ground. Lincoln spoke eloquently of his concerns at Gettysburg when he resolved “that government of the people, by the people, for the people shall not perish from the earth,” describing that battlefield as testing “whether this nation or any nation so conceived and so dedicated can long endure.” Yet 150 years after he urged his fellow countrymen and women to “finish the work we are in, to bind up the nation’s wounds,” some wounds are yet to heal and many politicians divisively open new ones to further their agendas; something which tragically is neither new to human history nor unique to the U.S.
Washington has changed in ways that Lincoln could not have imagined but he would still find familiar places within walking distance of the White House, in great part due to his legacy. 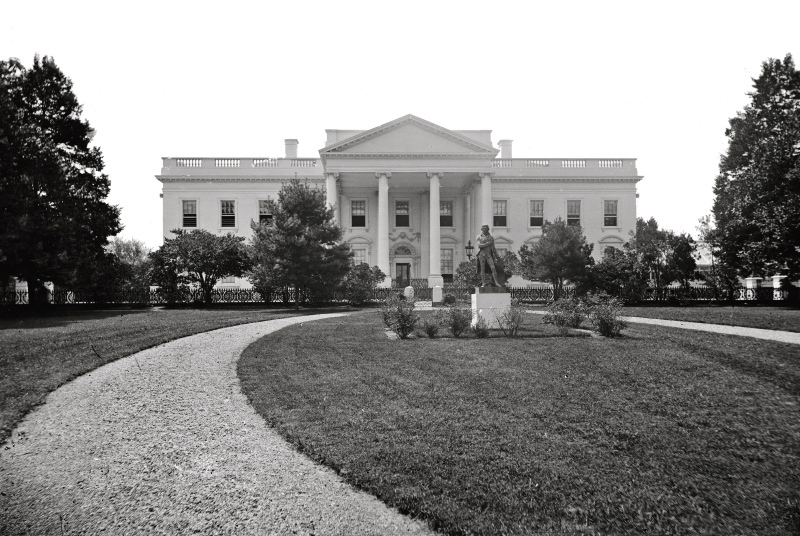 The exterior of the people’s house is little changed since the photograph below was taken in the 1860s. 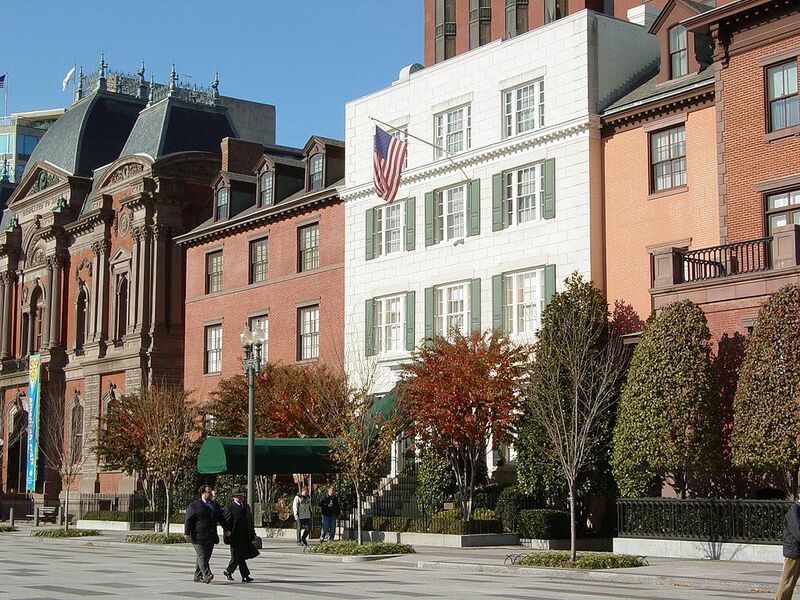 Blair House, which he visited for consultations with editor, Frank Blair still stands out the back door and just across Lafayette Park. 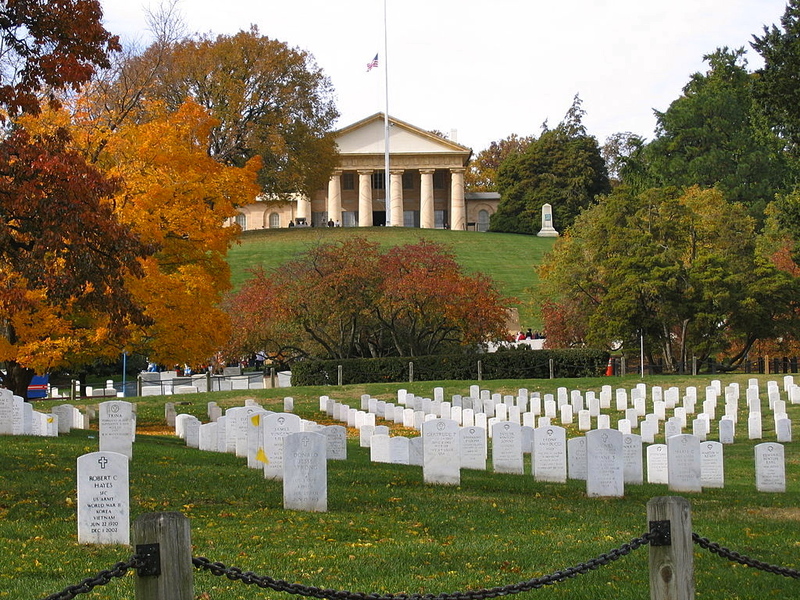 Although Blair and his son Montgomery, who Lincoln appointed Postmaster General of the United States are long gone, the latter buried in St. Louis’ Bellefontaine Cemetery, not far from the grave site of Edward Bates, the president’s first Attorney General; both men serving in President Lincoln’s Cabinet. The Custis-Lee Mansion continues to overlook the White House from a rise across the Potomac River but the number of graves has vastly risen since Civil War dead began to buried beneath Robert E. and Mary Custis Lee’s elegant lawn. 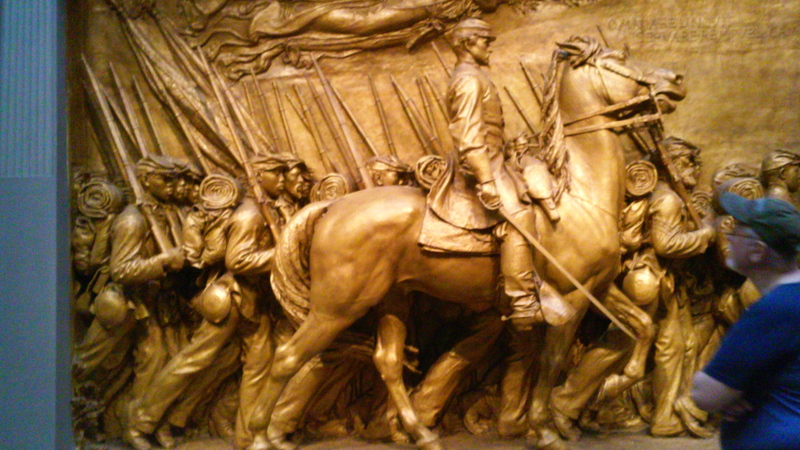 And the number of foreign wars that followed the War Between the States would surely give Lincoln pause. 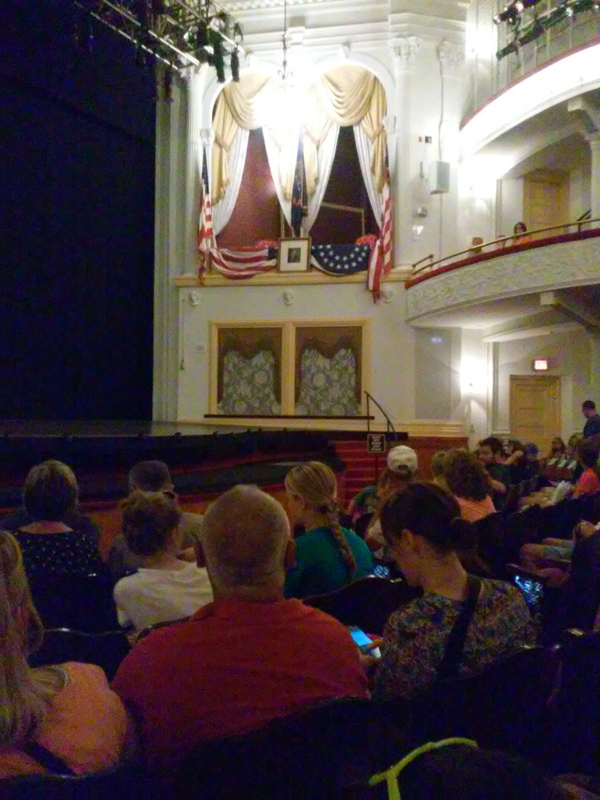 Ford’s Theater, where Lincoln enjoyed brief respites from the burdens of politics and war remains a mere six block walk from the White House, barely far enough for President Lincoln to stretch his long legs. 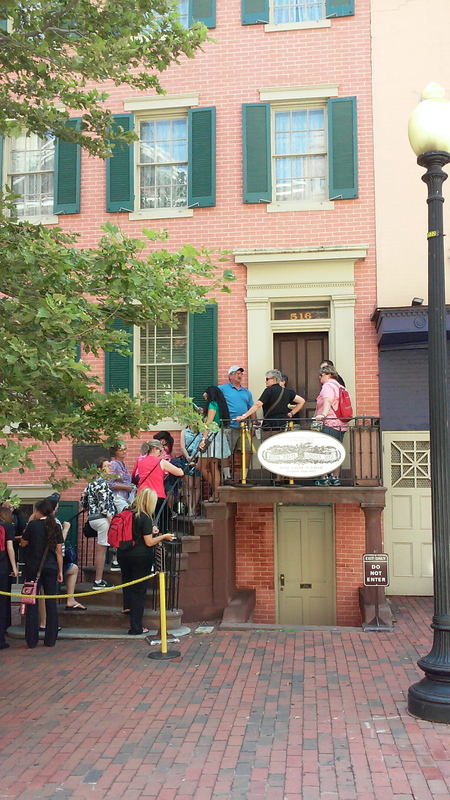 Daylight finds an unending stream of visitors to the Peterson House across the road where Lincoln breathed his last, never opening his eyes to see the interior. 2015 marks the 150th anniversary of not only the end of the deadliest man-made disaster in the history of the United States but of the assassination of Abraham Lincoln. 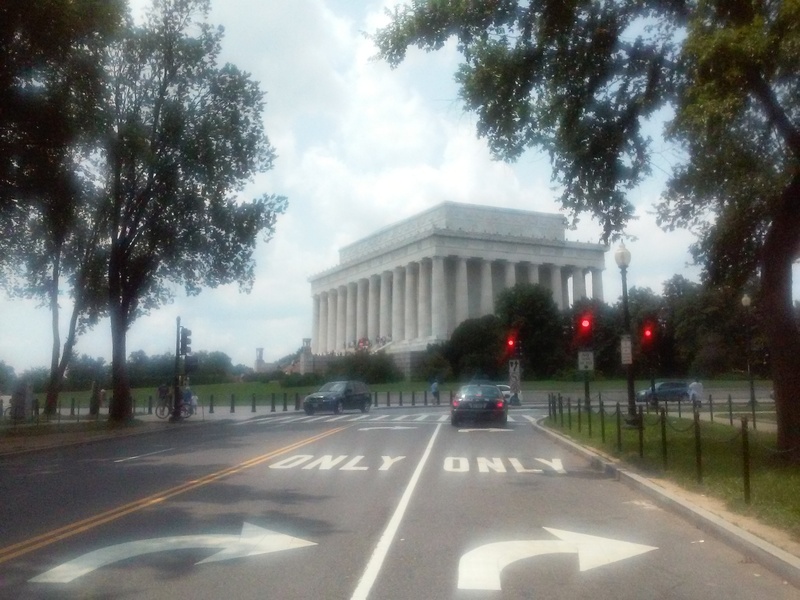 Although the city of his death bears George Washington’s name it is Lincoln who looms over it larger than life. Perhaps because what began so idealistically yet imperfectly with Washington could have ended so disastrously here with Lincoln. Yet didn’t. One cannot miss the slender elegance of President Washington’s Monument but it’s the Lincoln Memorial that every American feels he or she must visit. And once visited it’s never forgotten. Daniel Chester French sculpted the arduous, exhaustive struggles for justice and peace so splendidly in Abraham Lincoln’s visage. 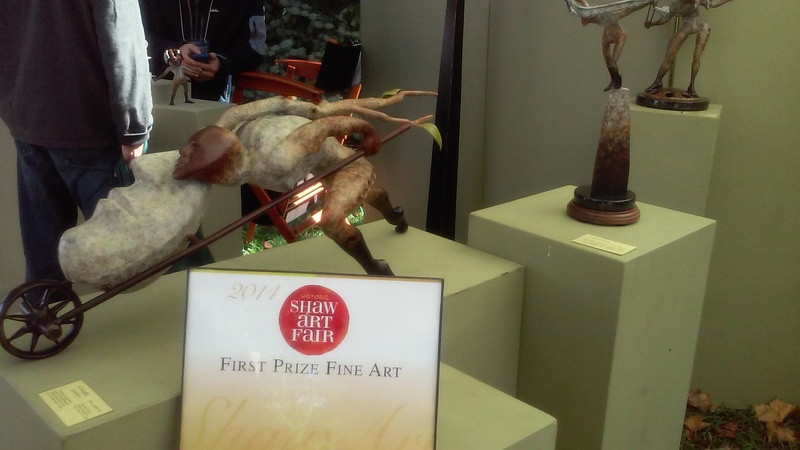 His sculpture is both a revelation and a challenge. 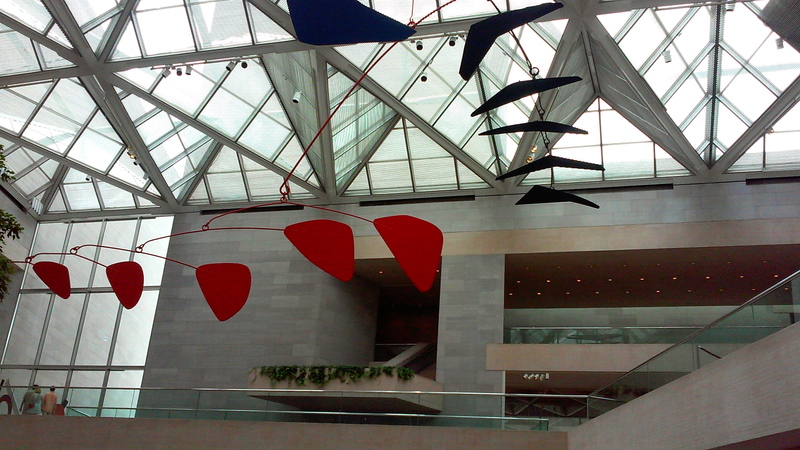 It represents what at best it means to be an American and it suggests that the work may be endless. If a spectral Abe Lincoln does restlessly walk the streets of Washington, I hope that he sometimes pauses for pleasure to wander the Smithsonian’s Air and Space Museum, or Museum of Natural History, or the National Gallery of Art, for they are worlds of wonder and beauty unto themselves with the power to inspire one’s hope for humanity. 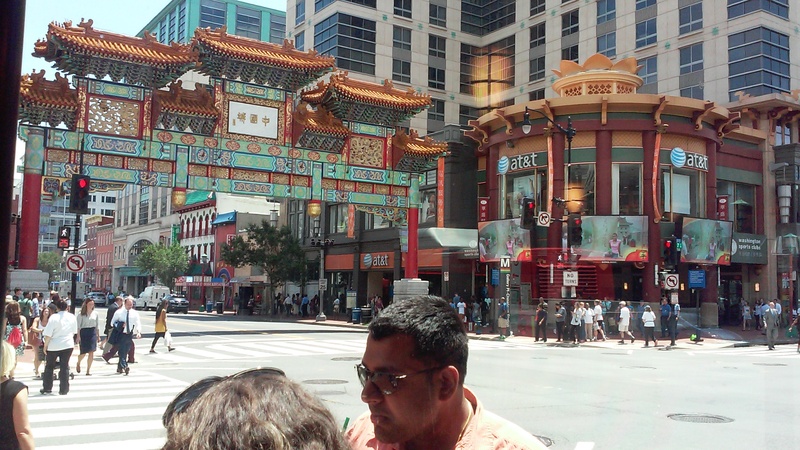 Washington, D.C. is in 2015 a large and bustling American city, far more densely populated and cosmopolitan than the Washington of Lincoln’s day, where Pennsylvania and Maryland avenues were still dirt roads. 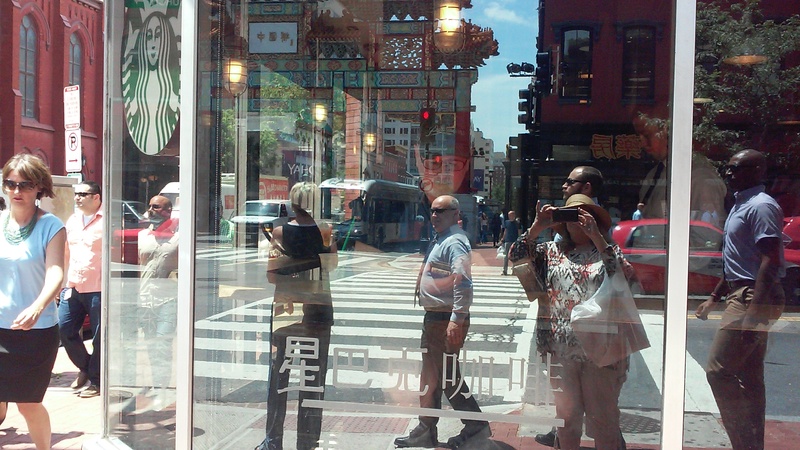 It’s made up of miles and miles of row houses and sprawling suburbs of almost every description; a world capitol where much of the world comes to parlay and negotiate, and where immigrants from many nations have made their home and diversified the culture. But in ways that are both suitable and haunting the Civil War and our nation’s wisest statesman seem ever-present here, reminding us how critical civil discourse is to the preservation of this republic for which so much has been sacrificed. 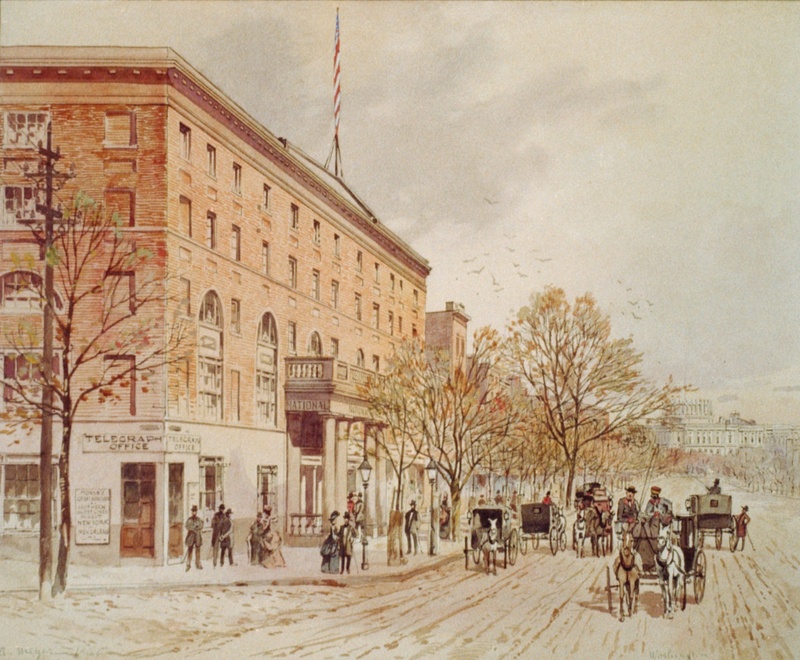 Illustration: Pennsylvania Avenue, DC – 1860 – in the public domain at wikimediacommons.org. 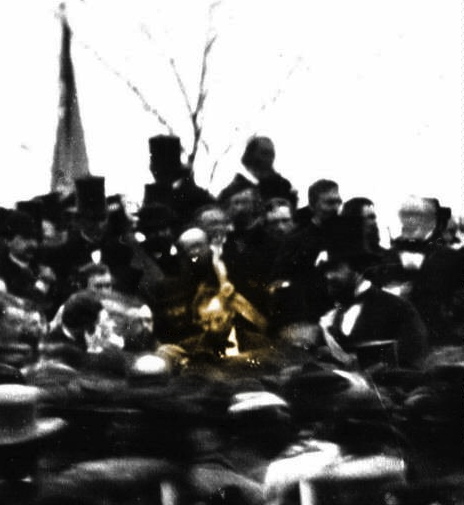 Photo Credits: A Harvest of Death, Gettysburg 1863 – Timothy H. O’Sullivan, President Abraham Lincoln at Gettysburg, Close-up of The Lincoln Memorial, South Entrance of The White House in the 1860s and Arlington National Cemetery – all in the public domain at wikimediacommons.org. Blair House daylight.jpeg. 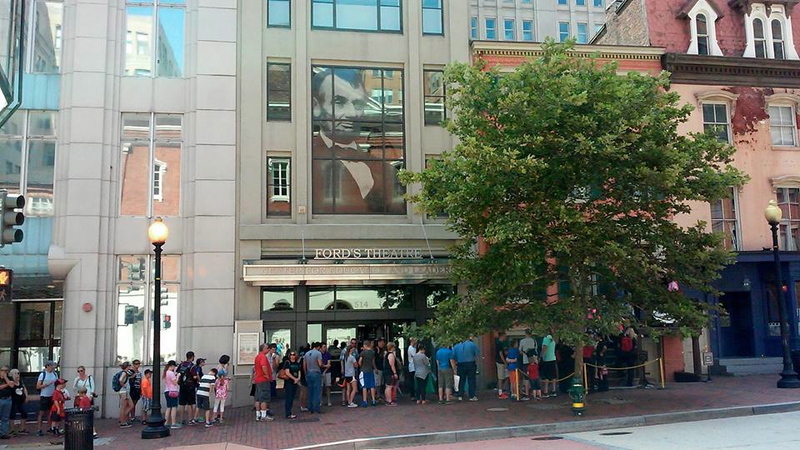 – author: Ben Schumin, 2006 at wikimediacommons.org – Creative Commons Attribution Share Alike -2.5 License; Exterior of Ford’s Theater, The Presidential Box in Ford’s Theater, The Peterson House in Washington, D.C. and Long-Shot of the Lincoln Memorial – Tom Kavanaugh, Sr.; Robert Gould Shaw Memorial by Augustus Saint- Gaudens, Alexander (Sandy) Calder Mobile in the West Building of the National Gallery of Art, Entrance to China Town in Washington, D.C. and Starbucks Coffee China Town, Washington, D.C. – Maureen Kavanaugh, author of this blog. New Year’s Eve 2014, the 7th Day of Christmas. Exterior work continues steadily on the Basilica of Saint Louis, King of France, the oldest man-made structure on the downtown riverfront, and in the crypt and museum area underground. But the interior body of the basilica was beautifully completed in time for this, the 250th celebration of Christmas since our founding. 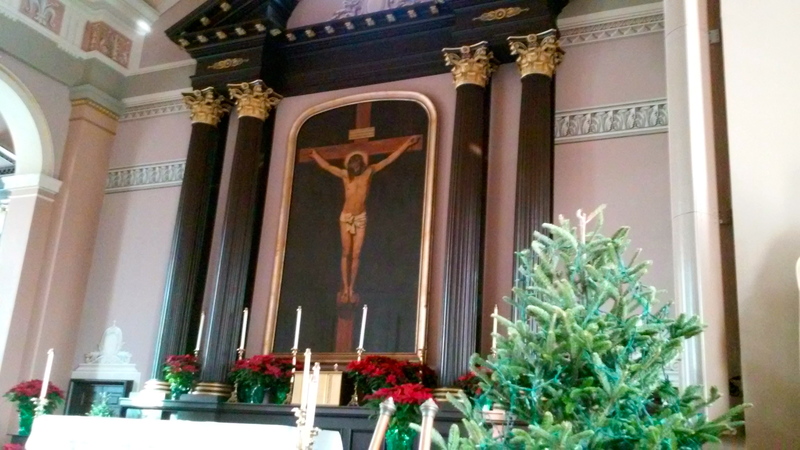 Evergreen trees and poinsettias fill the sanctuary which stood in stark simplicity throughout the Advent season, dominated by Charles Quest’s monumental reproduction of Diego Velasquez’ Cristo Crucificado. 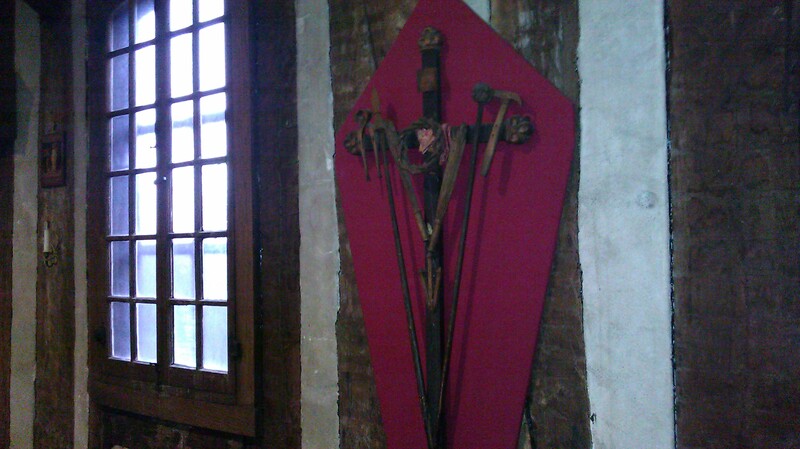 The crosses that hung from the vertical posts of the first two Churches of Saint Louis on this site, would have been far smaller, much like that in Holy Family Log Church in Cahokia, Illinois. 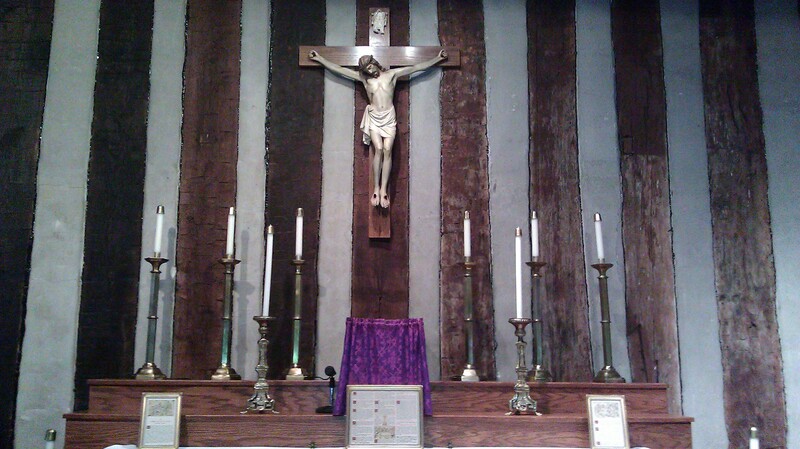 The first of these churches was a very simple structure raised in 1770. 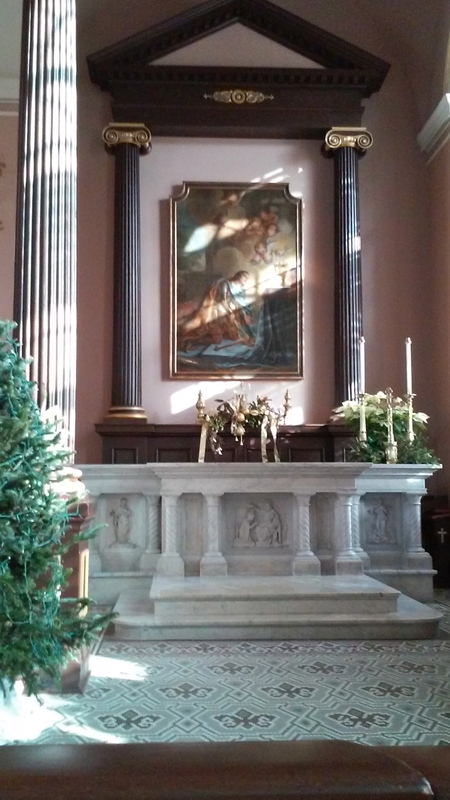 The second, erected in 1776 was modeled more closely on Holy Family Log Church in scale and quality, with a fine Norman truss, stuccoed walls between the vertical posts, and mullioned windows lit by the rising sun. They faced the Mississippi on La Rue de l’Eglise (Church Street). 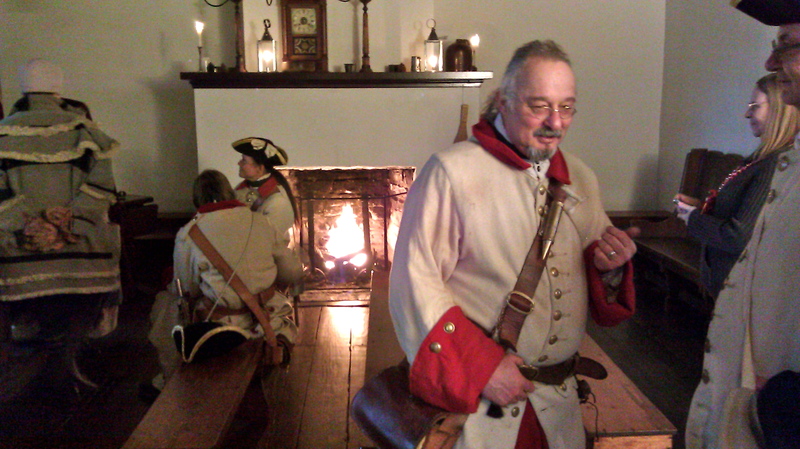 In December of 1764 La Poste de Saint Louis, Laclede’s fur trading post was not quite a year old. 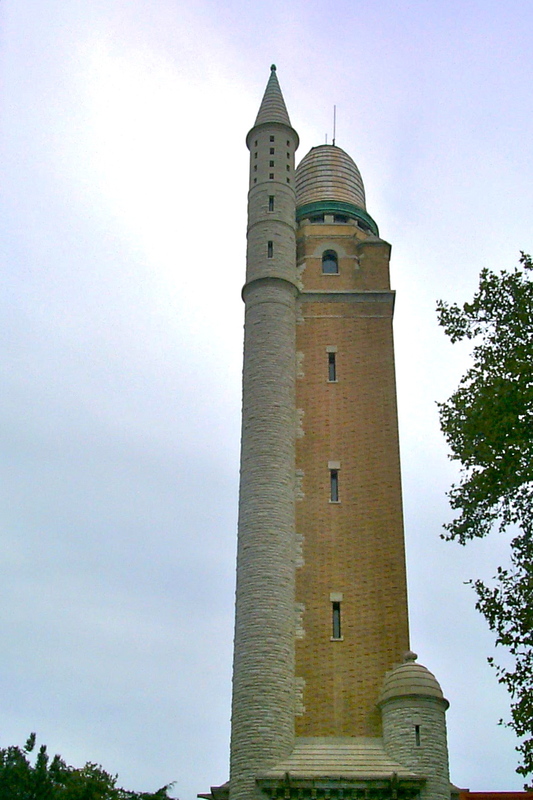 The closest church, Holy Family (pictured above) stood roughly six miles southeast of the bluffs on which Laclede and his stepson, Auguste Chouteau laid out and built the village, across the waters of the Mississippi River, made treacherous by ice. 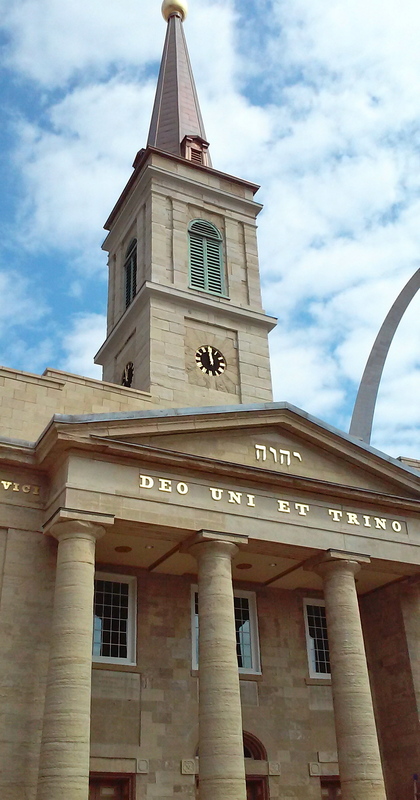 With neither a church nor a resident priest, St. Louis’ earliest celebrations took place in the homes of the settlers. They centered around a treasured Christmas Creche (Manger Scene) where prayers were said, and before which the children placed their shoes in anticipation of finding them filled with treats when they awoke on Christmas morning. 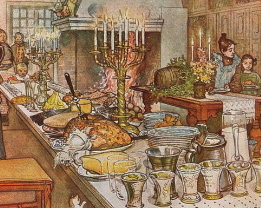 Following Midnight Mass a beautiful supper was served with special foods that had been in preparation for days, then a day of great festivity with many visits – house to house – among friends and family members. Everyday clothes were set aside as St. Louisans put on their finery, the silks and satins and laces saved for special occasions. When the first churches were built and Masses said, homilies were given in French and then an Indian dialect. 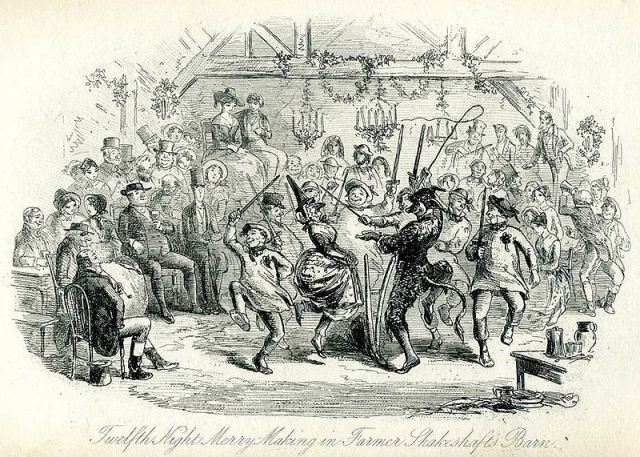 Christmas night ushered in the first of the nightly balls that led up to Epiphany/Three Kings Day and 12th Night. Epiphany (which the Irish called Little Christmas) was a day of gift-giving in the tradition of the Three Kings/The Magi who brought gifts of gold, frankincense, and myrrh to the Christ Child in Bethlehem. 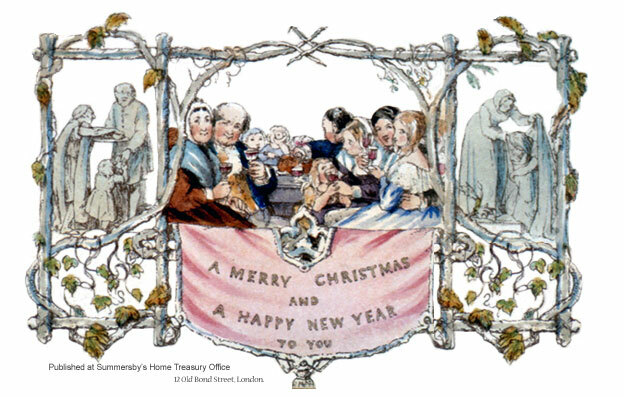 In much of the Christian world it did (and still does) mark the official end to Christmastide. King Cakes were baked with little trinkets inside and the last of the carols sung. French carols – Pat-a-Pan, Les Anges dans Nos Campagnes (Angels We Have Heard on High) and in time the lovely Huron Carol composed by French Jesuit missionary, St. Jean de Brebeuf, Canada’s oldest Christmas song. 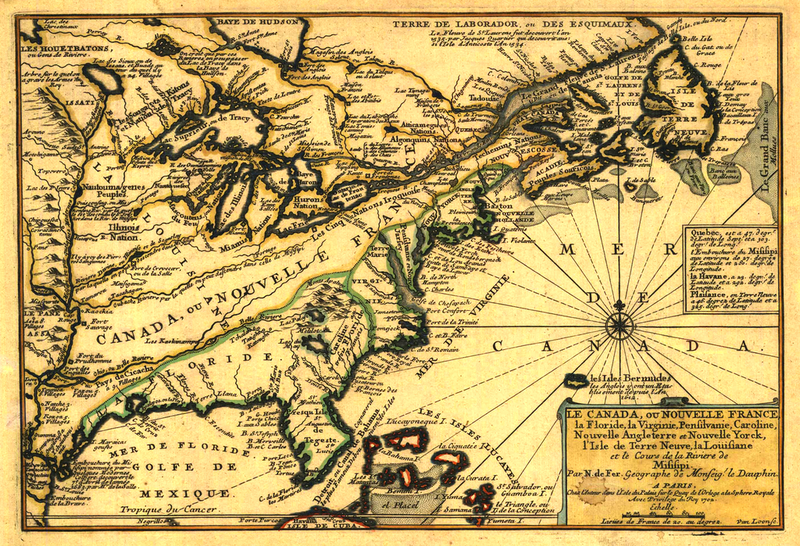 For there were far more French Canadians in Colonial St. Louis than there were native French. After arriving in Canada Fr. Jean de Brebeuf lived and worked among the Huron people in whose native language he composed the carol. He was later captured by Iroquois warriors and ritually martyred. 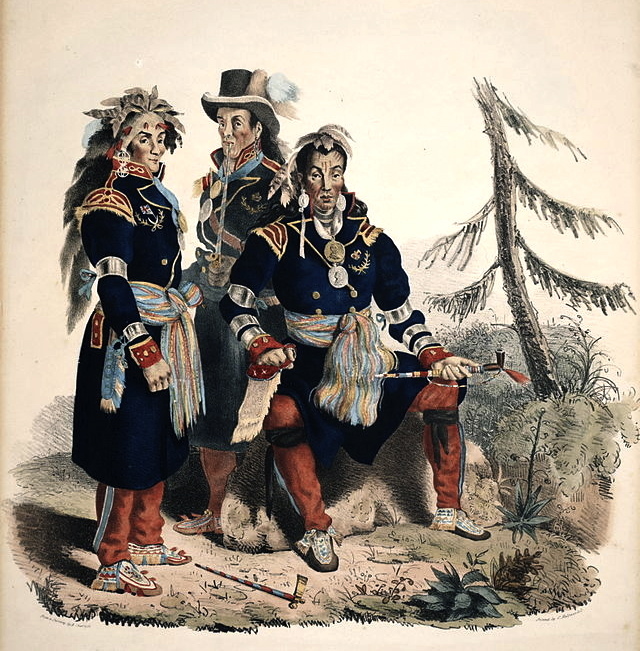 Written in Wyandot, the Huron Carol was later translated into French and English. 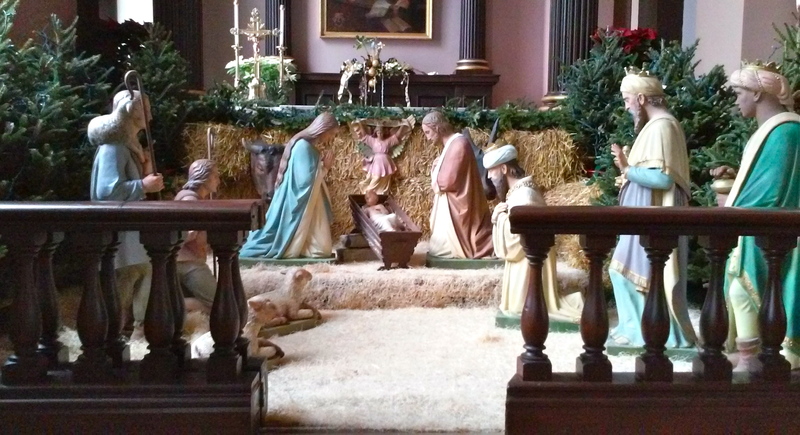 Unlike the personal manger scenes that St. Louisans had in their homes, the Christmas Creche in the Basilica of Saint Louis is nearly life-size, the figures cast in iron by the P. Serf company of New York and shipped to St. Louis in time for Midnight Mass in 1866. A tremendous restoration/renovation of St. Louis’ Old Cathedral has been underway for many months. It will continue for many more. But if you visit during the last of the Twelve Days of Christmas and any time after, you will find beautiful surprises. Especially if you are a native St. Louisan! 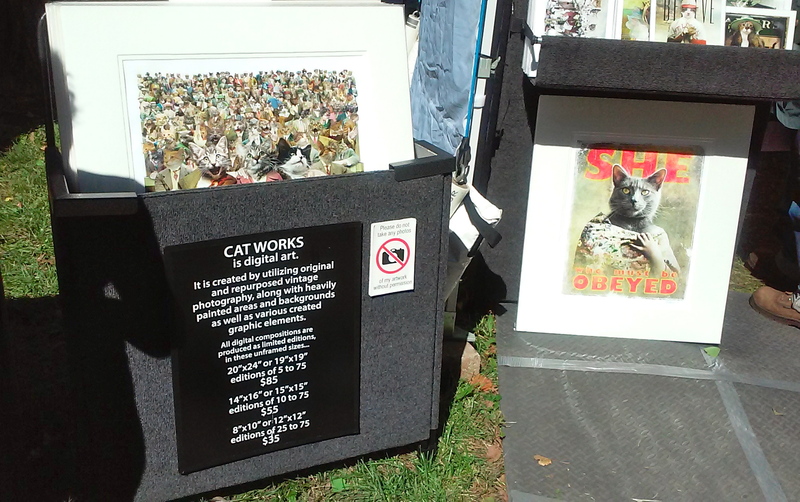 From color palette to artwork it’s quite a transformation back into the 19th century. 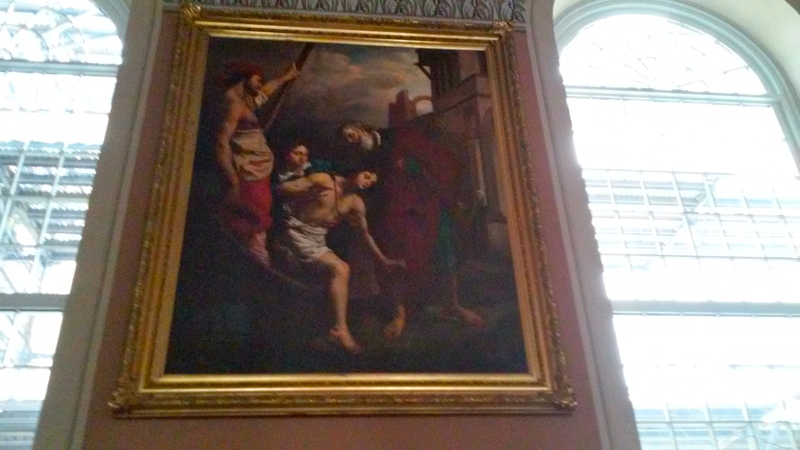 In addition to the painting of the Coronation of Saint Louis of France, a gift from one of his descendants, Louis XVIII of France to Bishop Louis DuBourg, four other paintings now hang in the basilica. Situated on the only piece of land in St. Louis that has never been bought or sold, the Basilica of Saint Louis stands within the original church block mapped out by city founder Pierre Laclede in the winter of 1764; the only piece of Colonial St. Louis in the downtown area still being used for its original purpose. However the present church stands in the upper left corner of the church block illustrated below and it faces south. It remains as it was always intended to be – a place of refuge and peace and reverence – central to and apart from, the world around it. 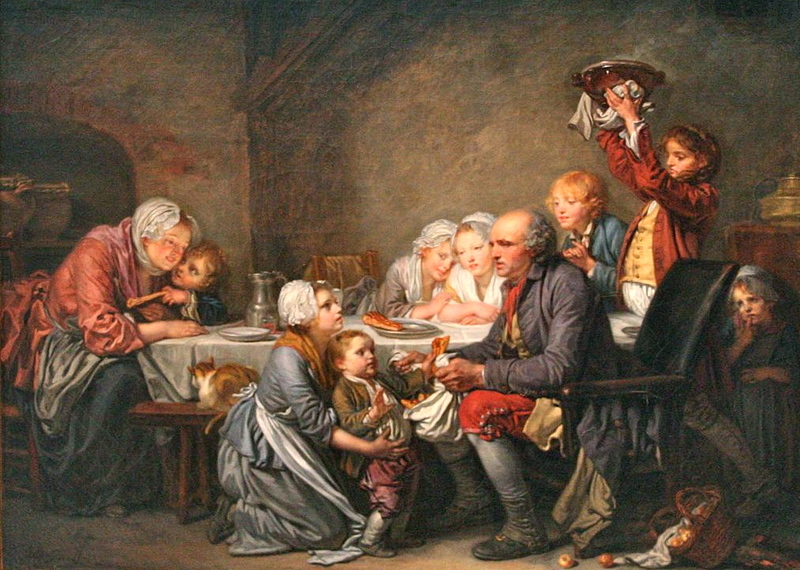 References: *Poster description of The Christmas Creche in the Basilica of Saint Louis, King of France. Illustrations: All illustrations used above – Julaftone, Twelfth Night Merry Making in Farmer Shakeshaft’s Barn, Greuze Gateau, Adoration of the Magi, Three Chiefs of the Huron, First Catholic Church in St. Louis, and The First Christmas Card – are in the public domain at wikipedia.com. There will be very little history in this blog post which is instead a celebration of the arts as supported and engendered by a St. Louis neighborhood which has its origin in a British immigrant with an eye for beauty and the soul of a botanist . . . . . . and the work of 135-something artists who exhibited this past weekend at the Shaw Art Fair along the park in Flora Place, directly east of The Missouri Botanical Garden. 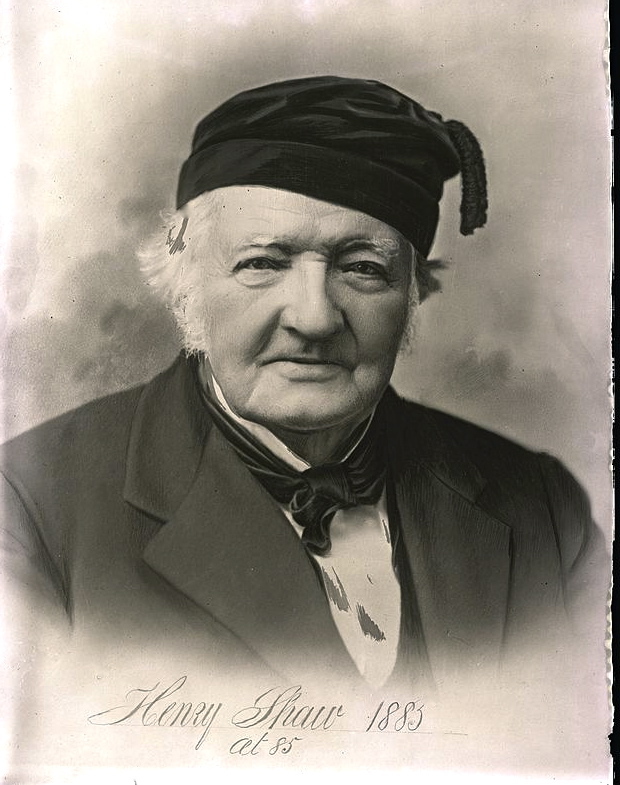 Henry Shaw, for whom the neighborhood is named, arrived in St. Louis in 1818, at the age of eighteen, seizing the opportunity to expand the family steel business back in Sheffield, England. 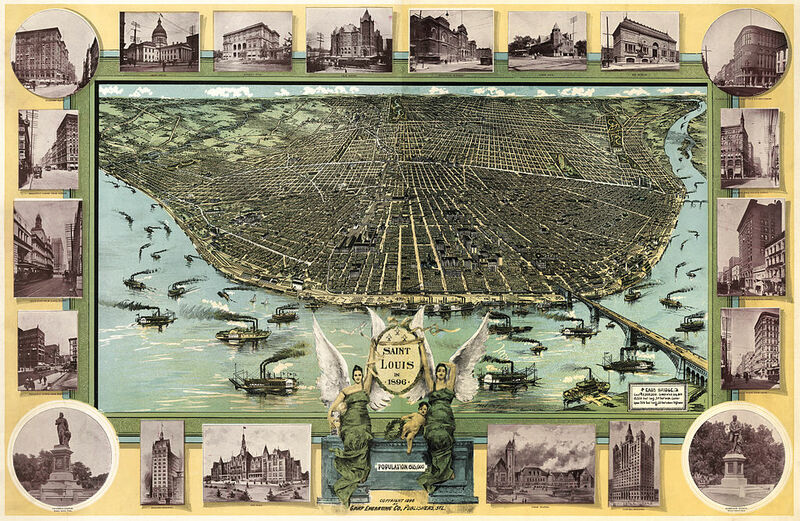 For what he found when he stepped off the steamship Maid of Orleans and onto the St. Louis Levee was a flourishing inland river port brimming with prospective customers – residents as well as thousands of pioneers headed west. He set up shop on Main Street, offering essentials such as flour and sugar along with some of the finest steel cutlery in the world and made himself a fortune. Strolling the town at his leisure (St. Louis wouldn’t be incorporated as a city until December of 1822) Shaw became intrigued with the remarkable garden of Dr. Antoine Saugrain. 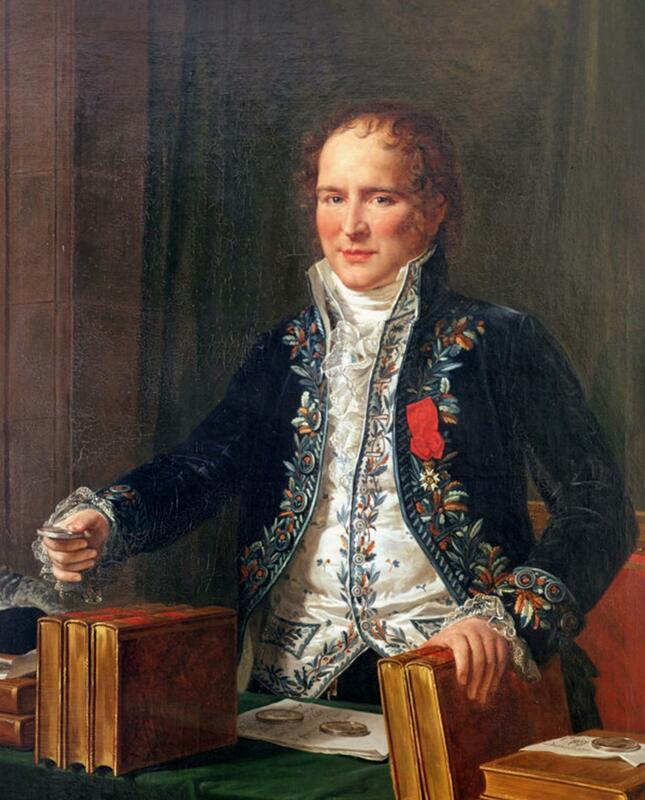 Educated in Paris as a physician and chemist under Antoine Fourcroy (depicted on the left), Saugrain grew numerous medicinal herbs that he introduced to St. Louis, along with others native to the Mississippi River Valley. 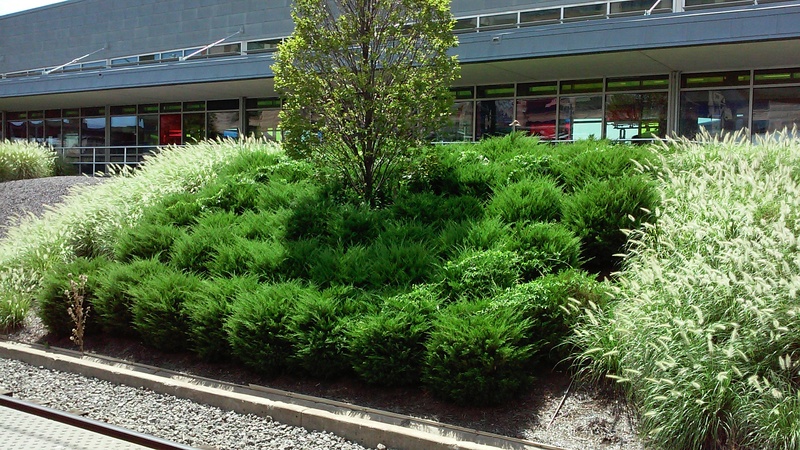 Henry Shaw would be inspired by Saugrain to create a botanical garden of his own and to endow medical research related to botany at Washington University in St. Louis. 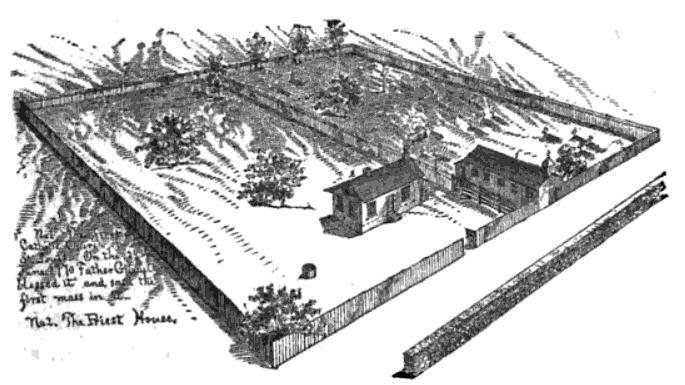 The Shaw Neighborhood website includes cartographer Camille Dry’s rendering of Henry Shaw’s (extensive) Garden in 1875 (http://www.shawstlouis.org/all-about-shaw/history/). 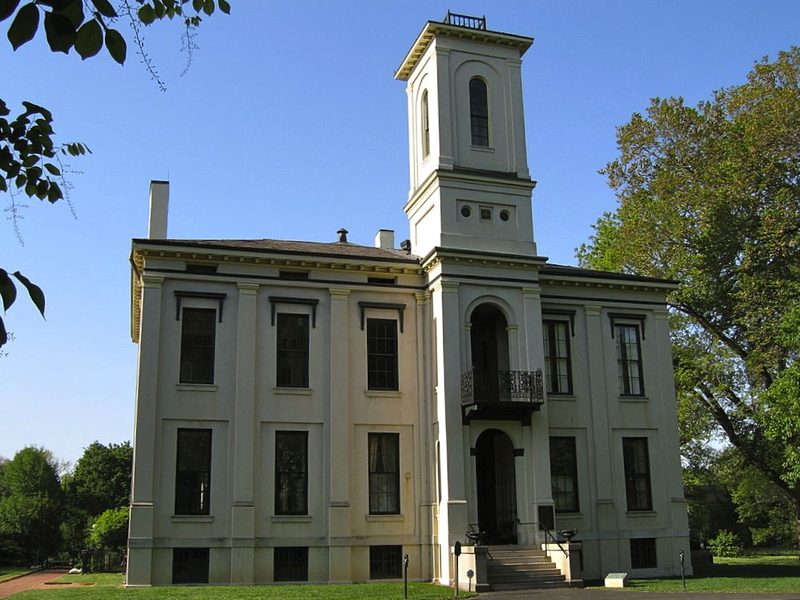 If you click on the above link you will see that Shaw’s country estate was a part of and surrounded by prairie, specifically the Prairie des Noyers which had been platted in St. Louis’ French Colonial Period. Part of that estate (which Shaw purchased in 1840) is known today as Tower Grove Park and the rest as The Missouri Botanical Garden. 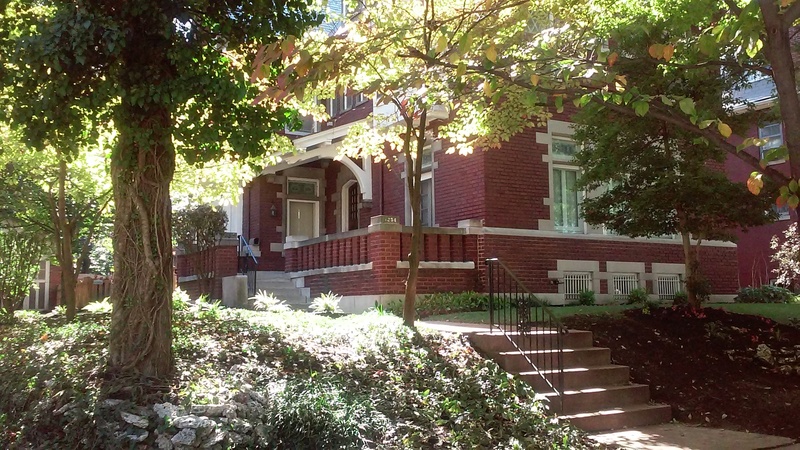 An astute businessman, Shaw invested in elegant residential developments adjacent to his estate that spawned what is today much of the Shaw Neighborhood. 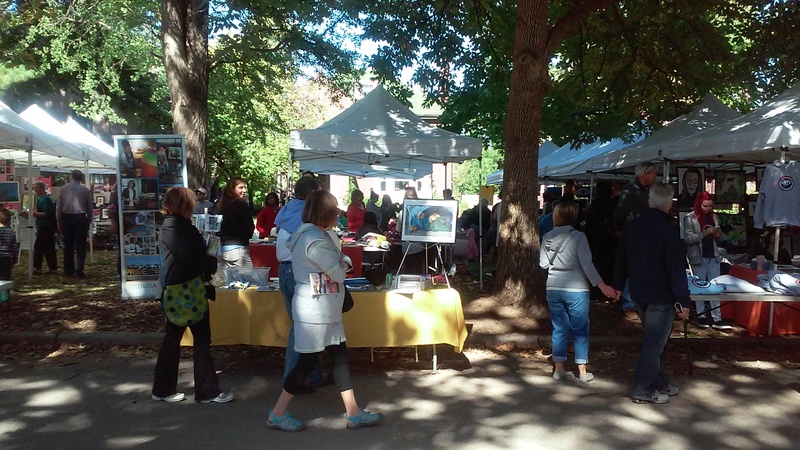 The Shaw Neighborhood Improvement Association (SNIA) launched its now famous art fair in 1993, making this their 21st annual event. 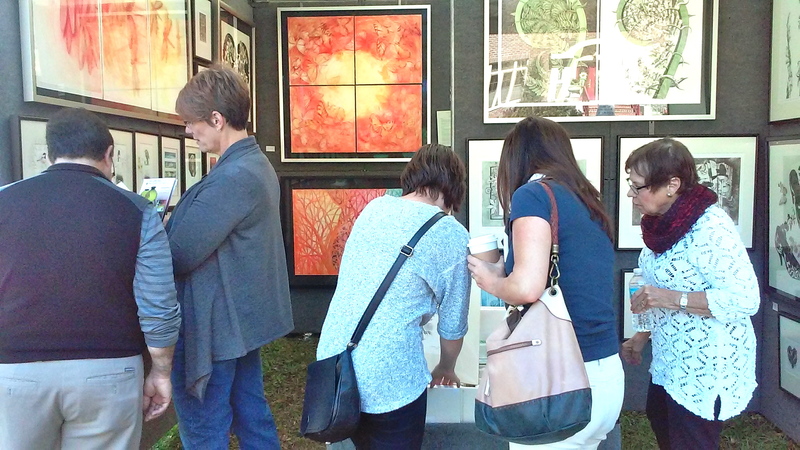 On two perfect autumn days in the first weekend of October 2014, thousands strolled Flora Place to view a wide spectrum of art, many to take some of it home with them. 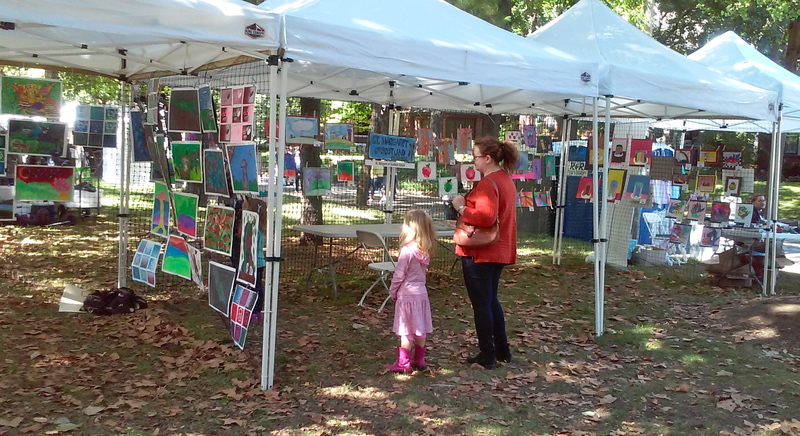 In addition to the exhibit spaces an area was set aside for young people to create art. And student artists from neighborhood schools like The Grand Center Arts Academy, a charter school founded in 2010 in the former Carter Carburetor Complex, and St. Margaret of Scotland School were on hand to talk about their exhibited art work, and proudly point it out to family members and friends. 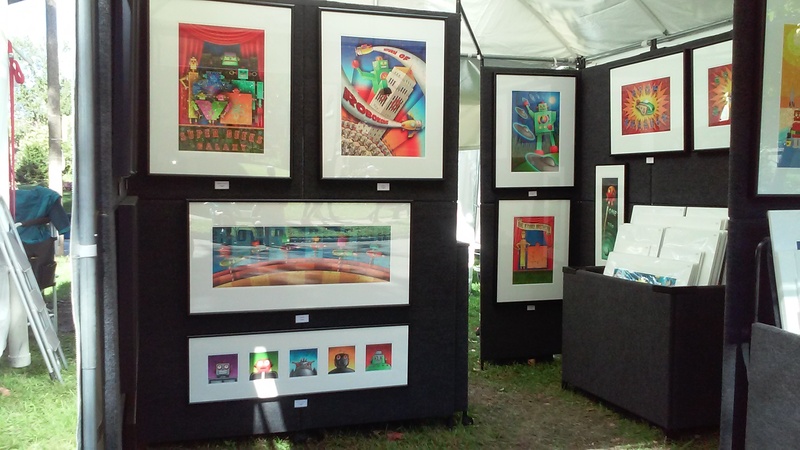 Providing children with the opportunity to view their work in the context of professional artists – of jewelers, painters, printmakers, sculptors, and photographers who have devoted their lives to a daring and precarious profession can be inspiring. 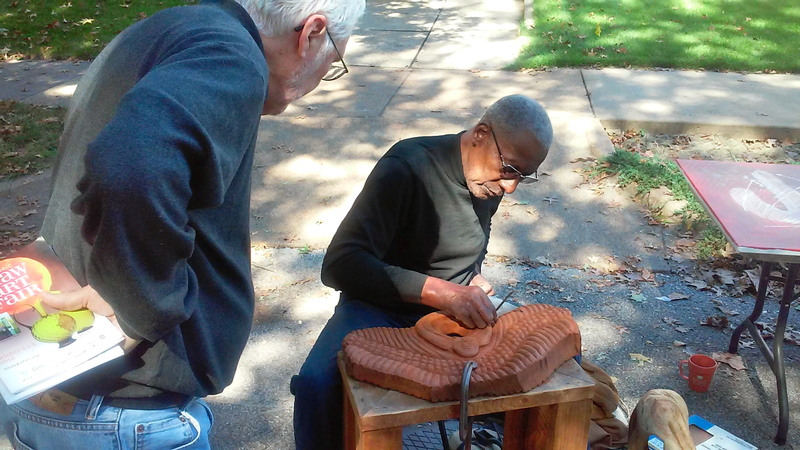 As is being able to watch an artist like Robert Powell work on a mahogany carving. 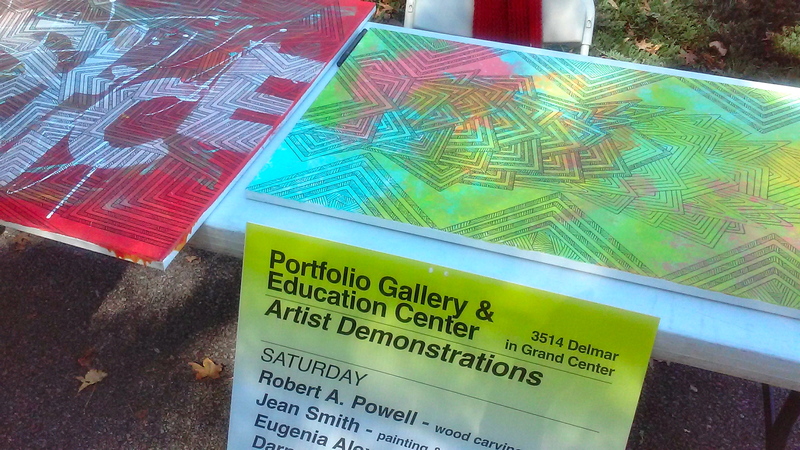 Founder of The Portfolio Gallery and Education Center (http://www.portfoliogallerystl.org/) at 3514 Delmar Blvd. in the Grand Arts Center, Powell is a former industrial arts instructor who’s devoted the past twenty-five years to providing a showcase for African-American artists and “putting art in daily conversation.” There were artists from Michigan – Latvian artist, Marina Terauds, who produces her elegantly, whimsical prints using traditional methods faithfully preserved for more than four hundred years in her homeland (http://www.marinaterauds.com/) – and Wisconsin, sculptor Thomas Wargin (http://www.wargin.com/index_bio.php) whose fascinating marriage of man and machine took 1st Place in the Fine Arts Category – – alongside St. Louis artists like Jay Thompson of Kirkwood, whose hilarious and marvelously rendered Cat Works (http://thompson-catworks.com/) brought smiles and laughter from viewers. 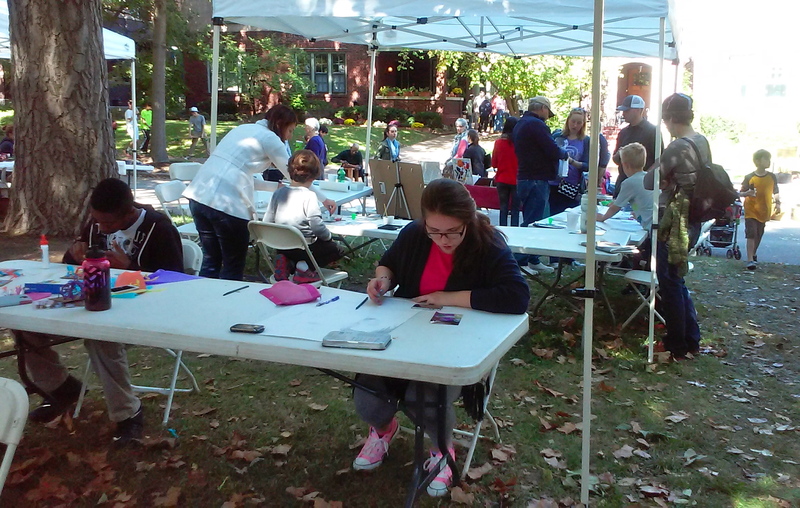 What a wonderful, autumnal, neighborhood event this is! References: shawstlouis.org website and wikipedia. org. 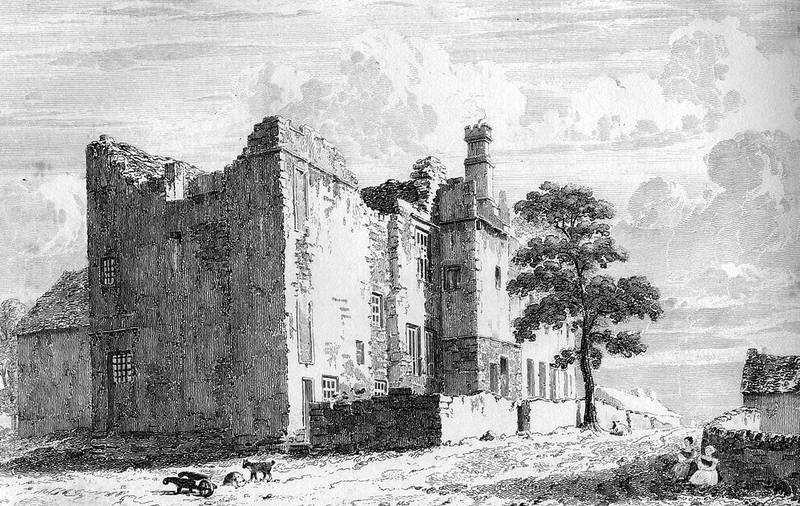 Illustration Credits: Ruin of Sheffield Manor and Antoine Fourcroy – in the public domain at wikimedia.org. 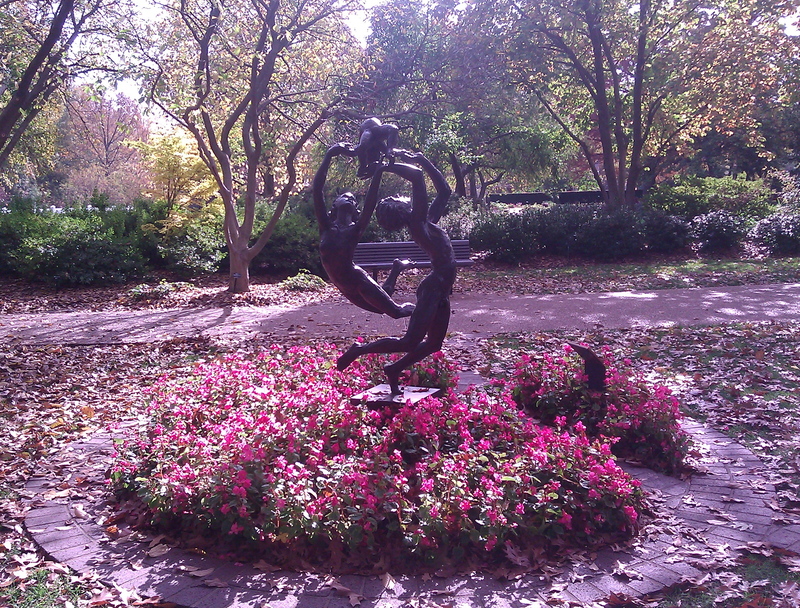 Photography Credits: Henry Shaw at 85 and Henry Shaw’s Tower Grove House – in the public domain at wikimedia.org; Family Sculpture in The Missouri Botanical Garden – Maureen Kavanaugh. 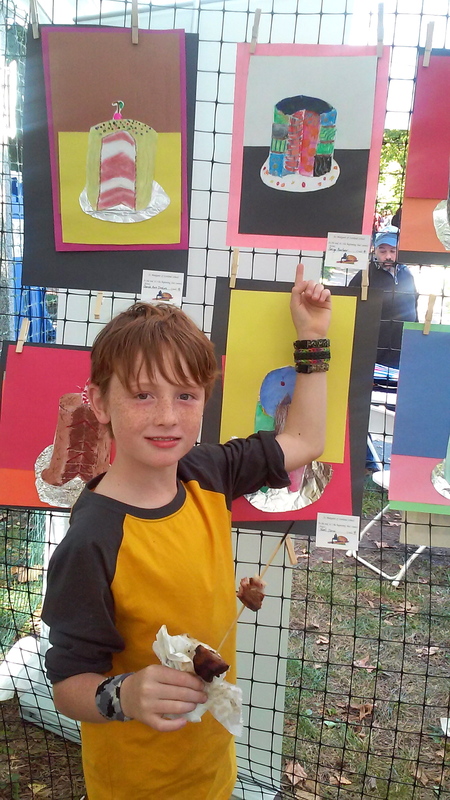 All other photos used with the kind permission of Thomas Kavanaugh, Sr.